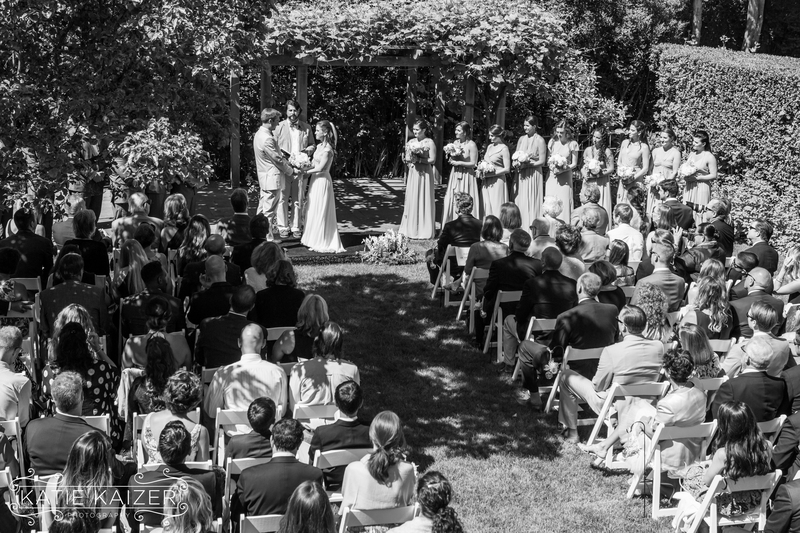 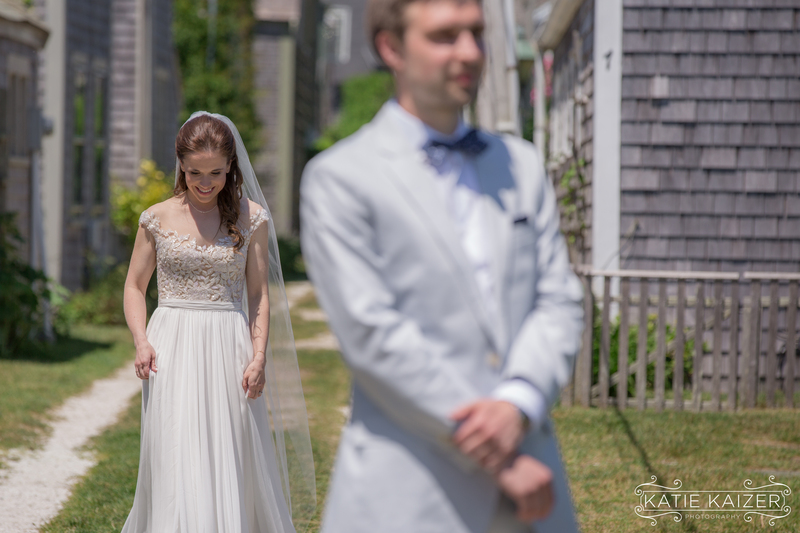 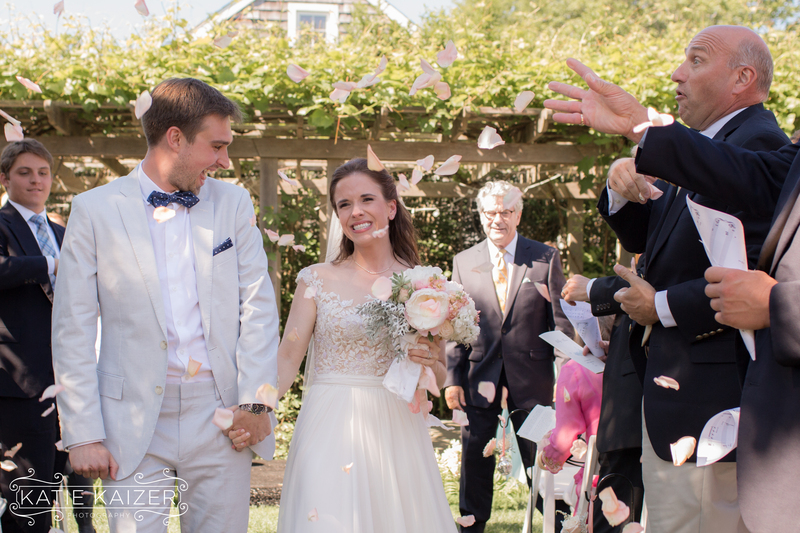 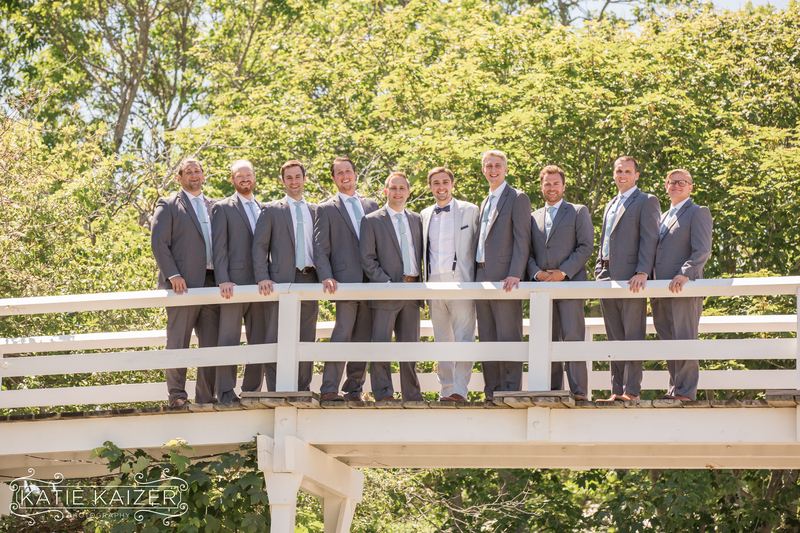 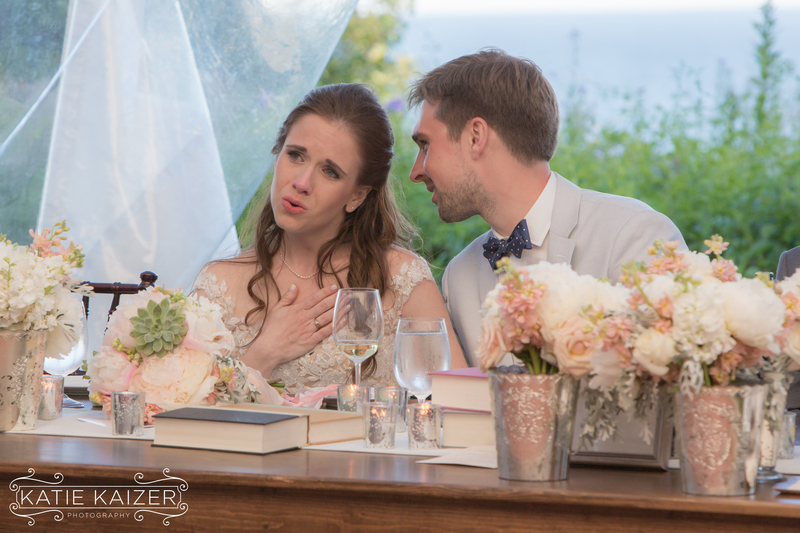 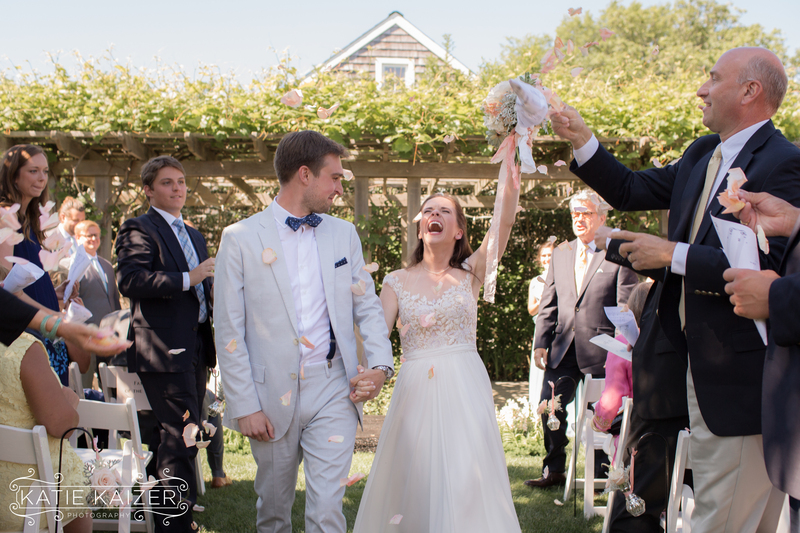 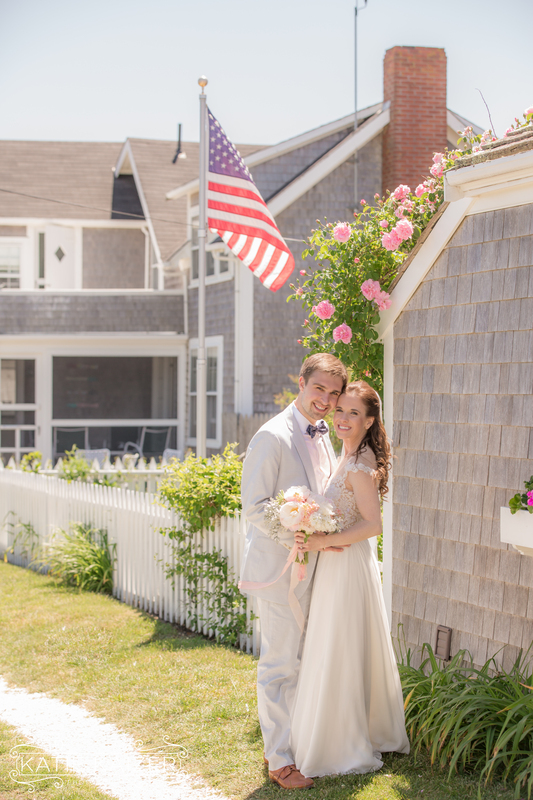 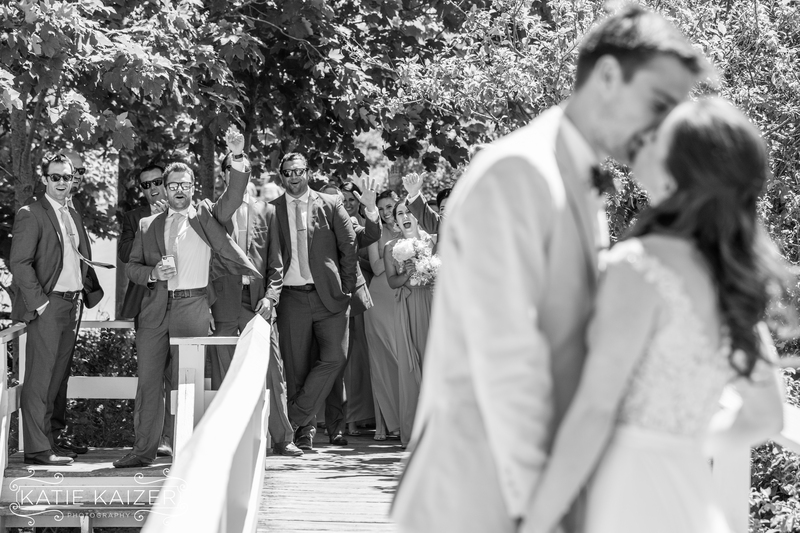 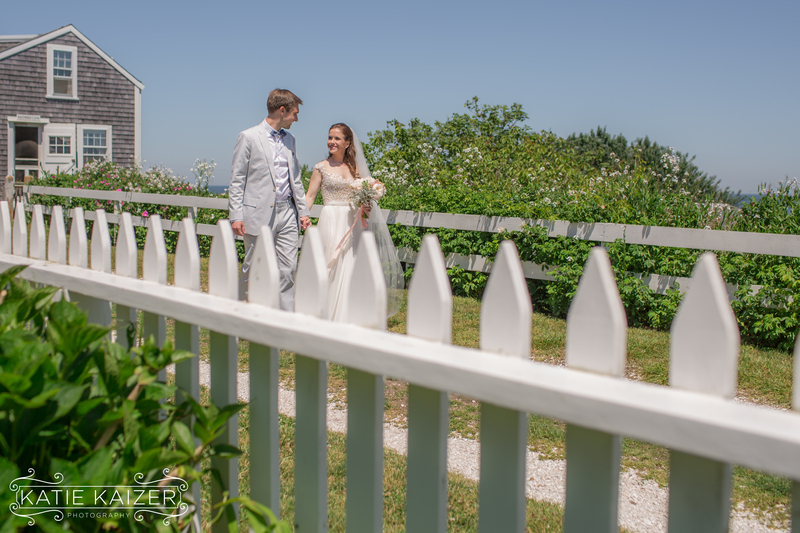 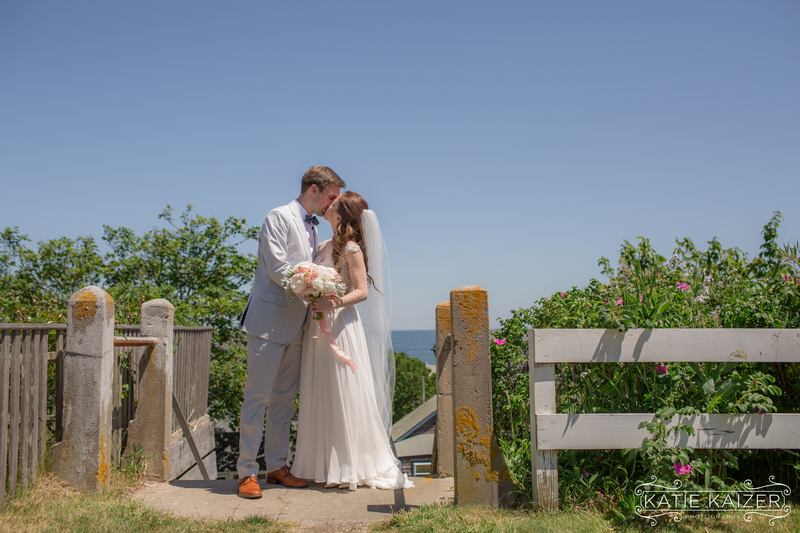 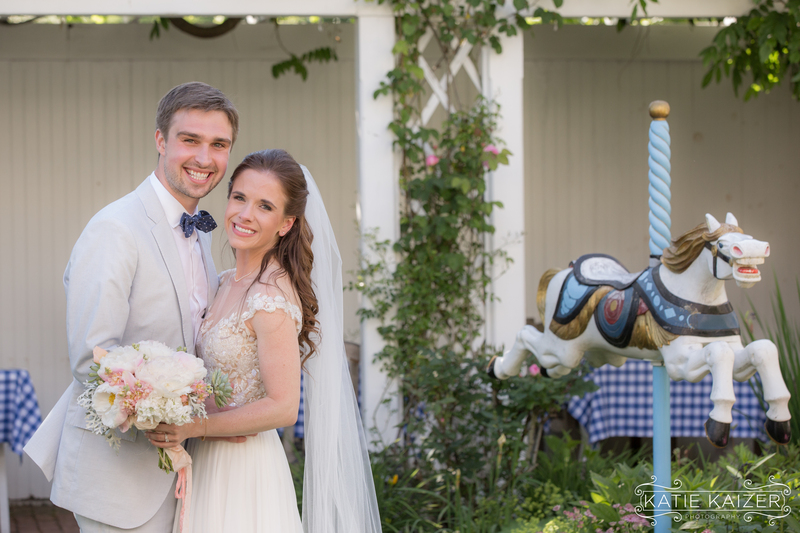 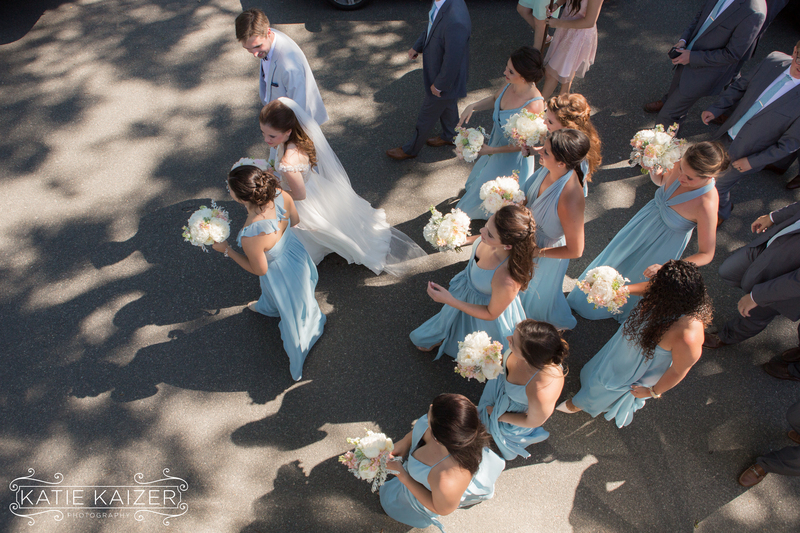 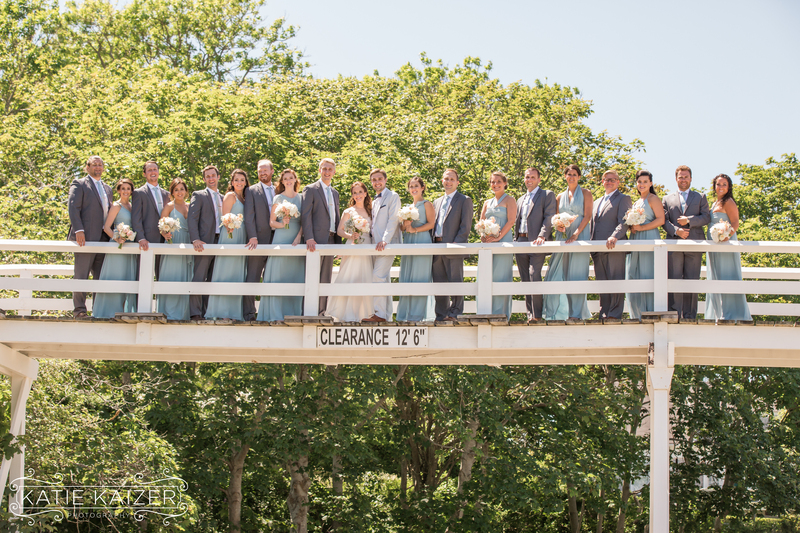 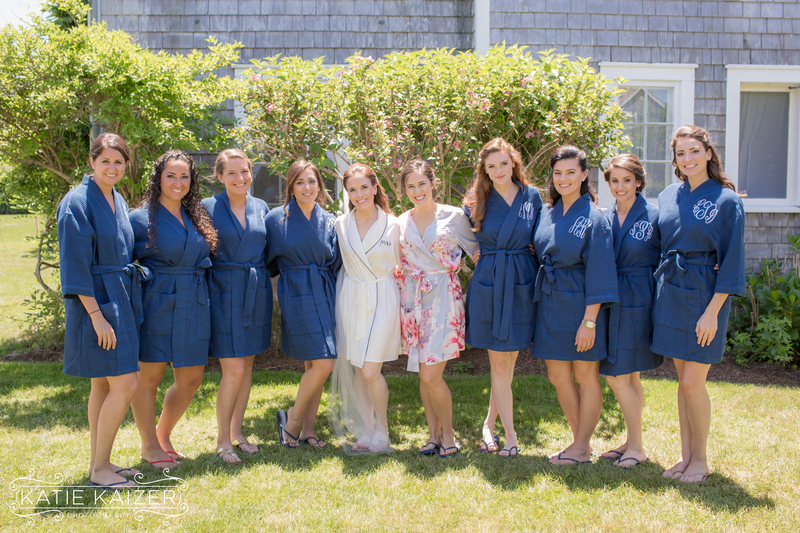 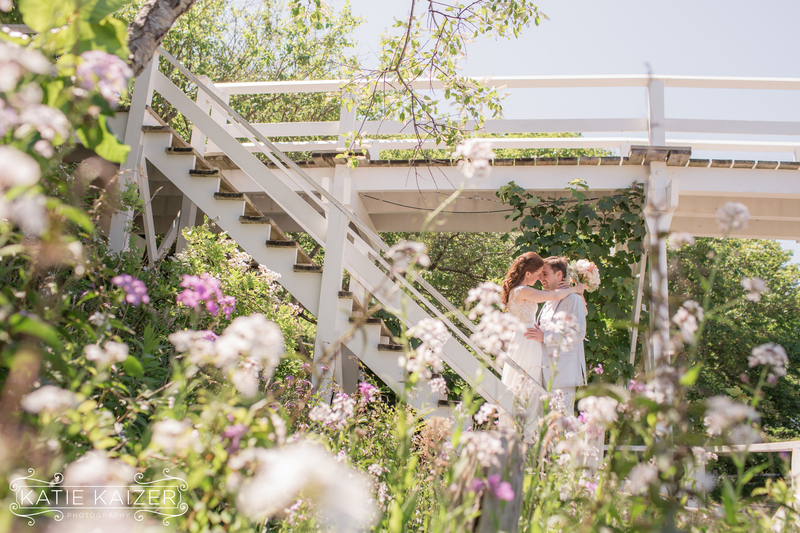 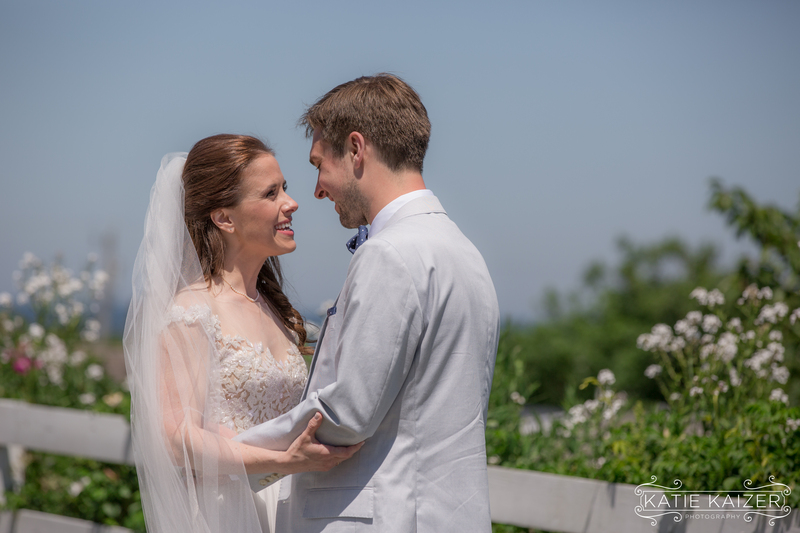 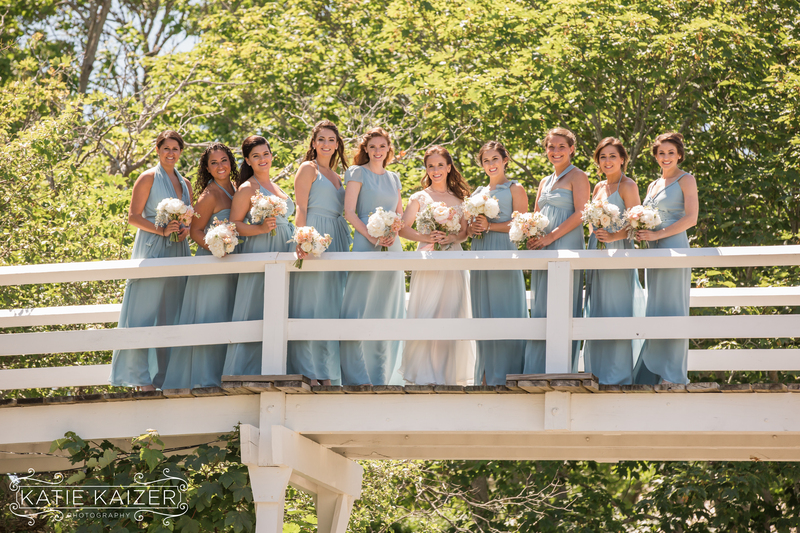 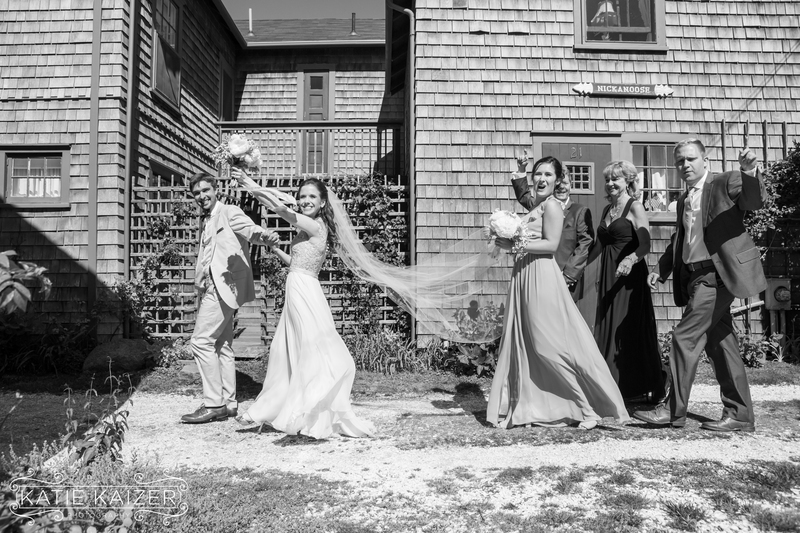 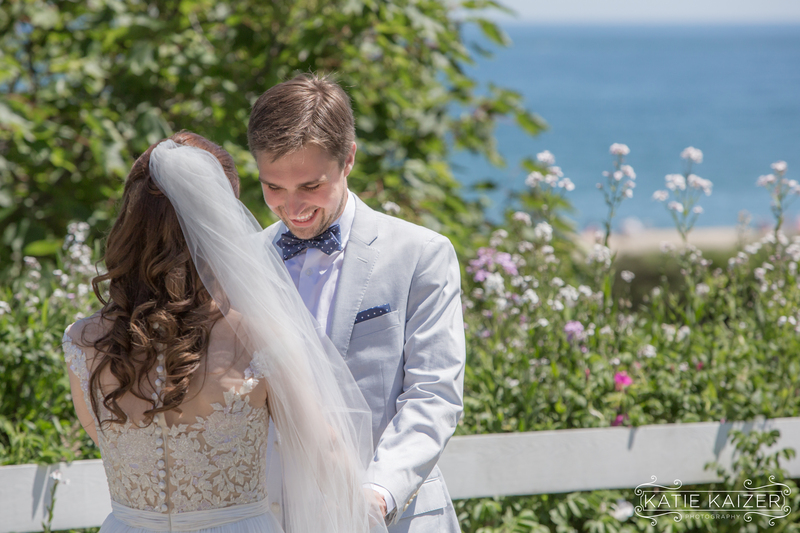 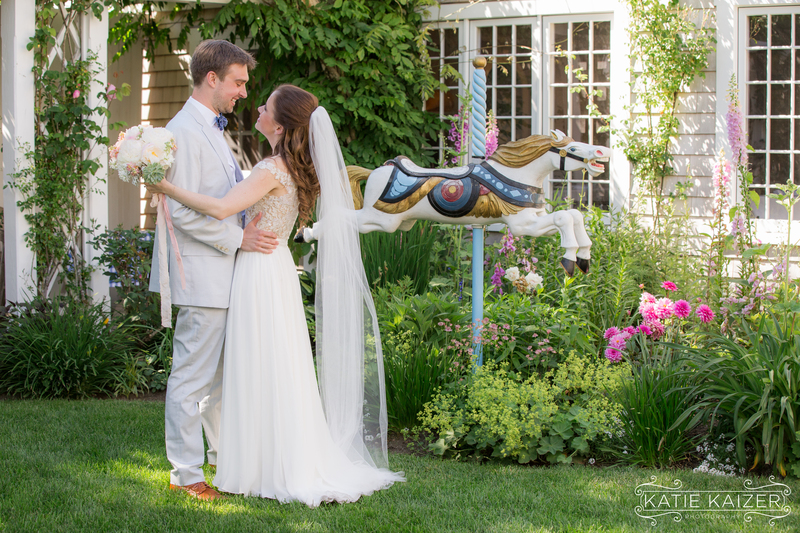 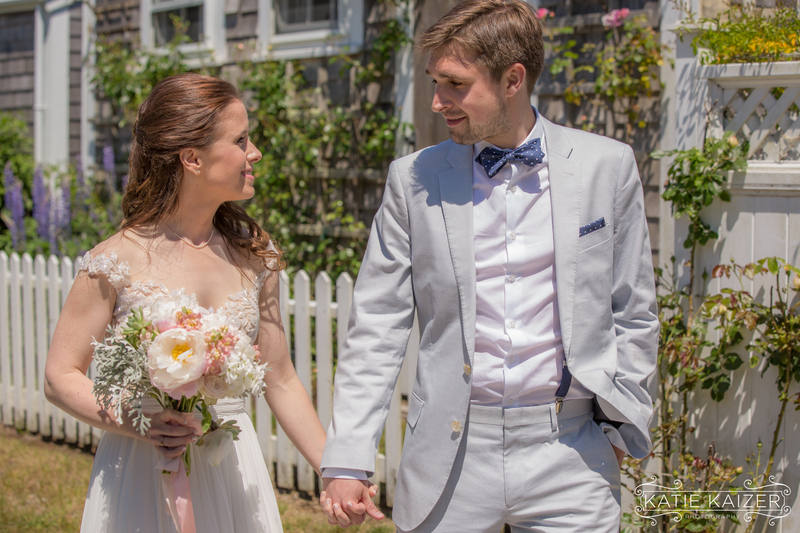 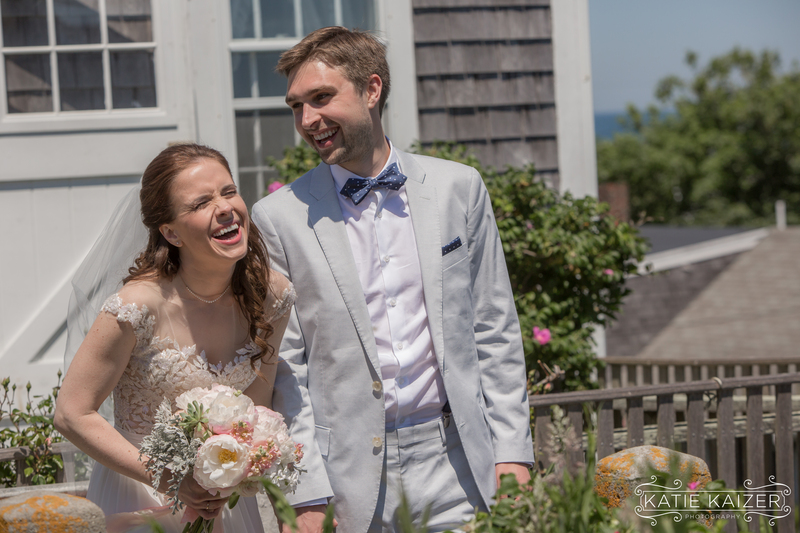 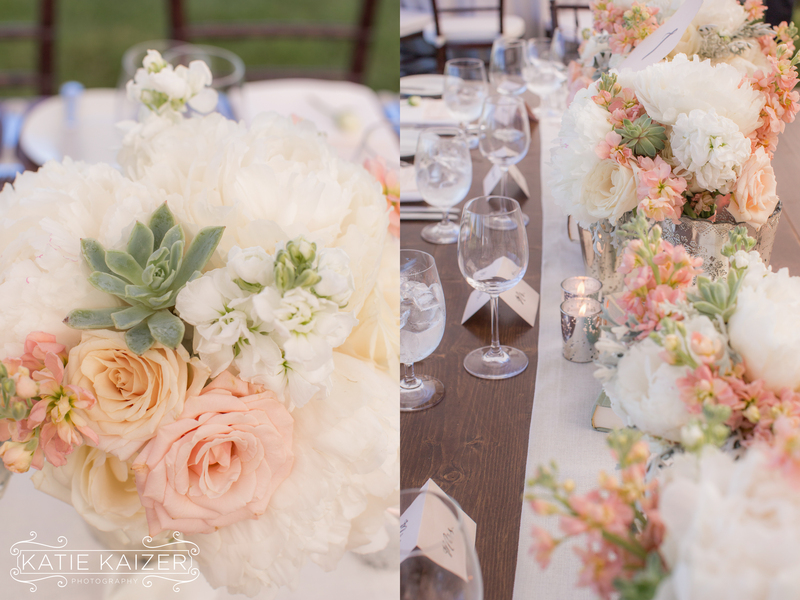 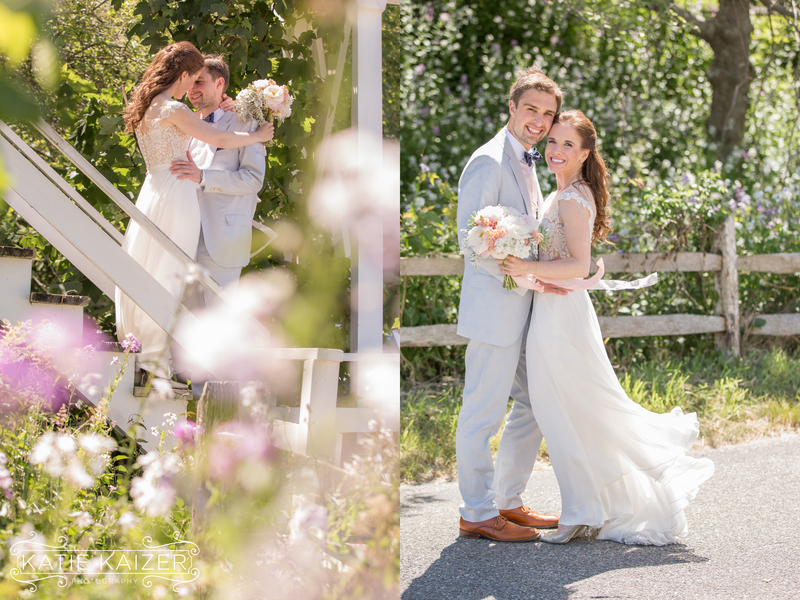 Kelly and Allan had a fairytale wedding in Sconset on June 18th 2016. 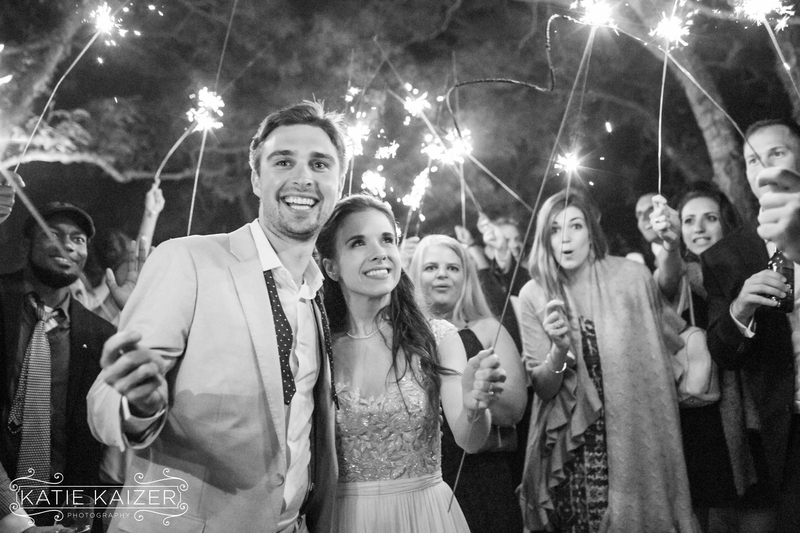 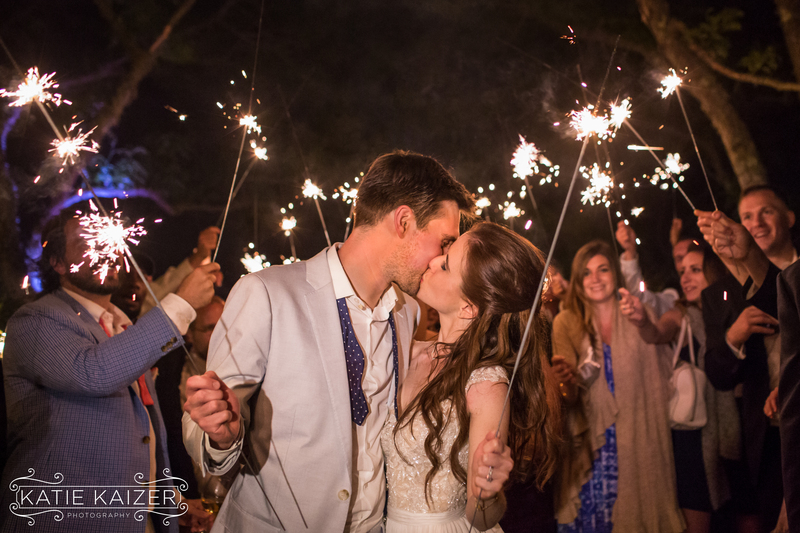 They had blue skies and sunshine, laughter and sparklers, tears and smiles….they really had the wedding of their dreams. 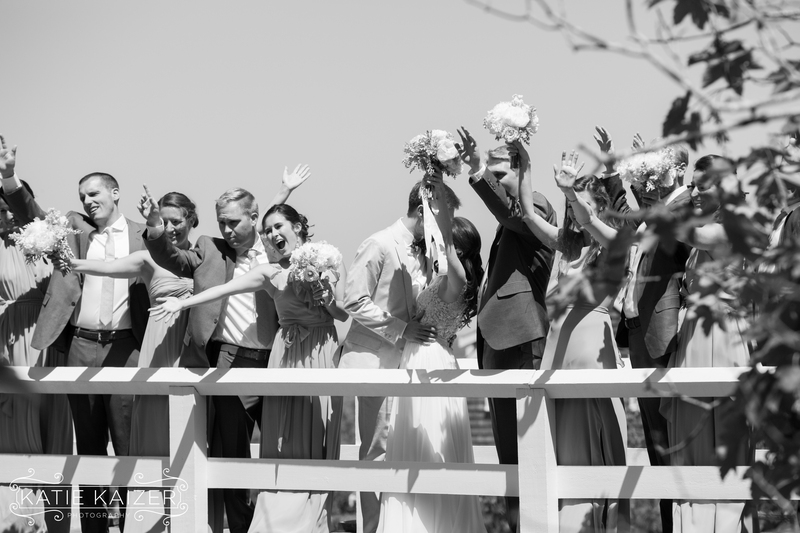 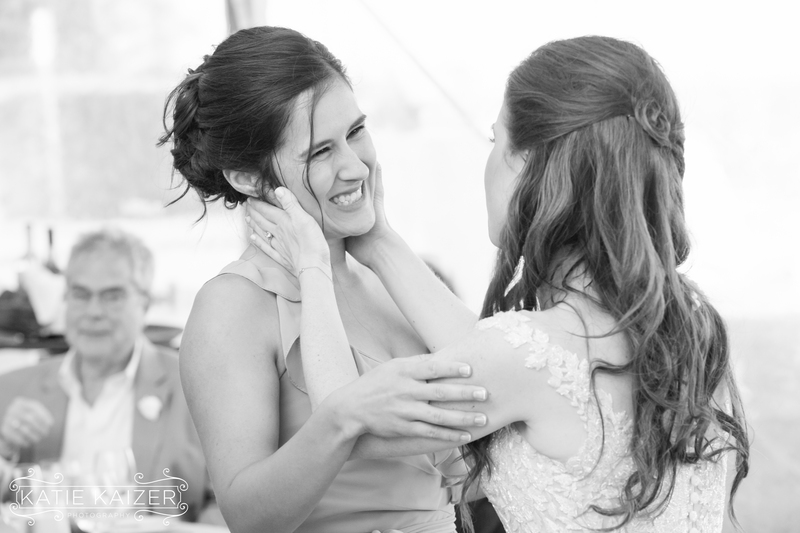 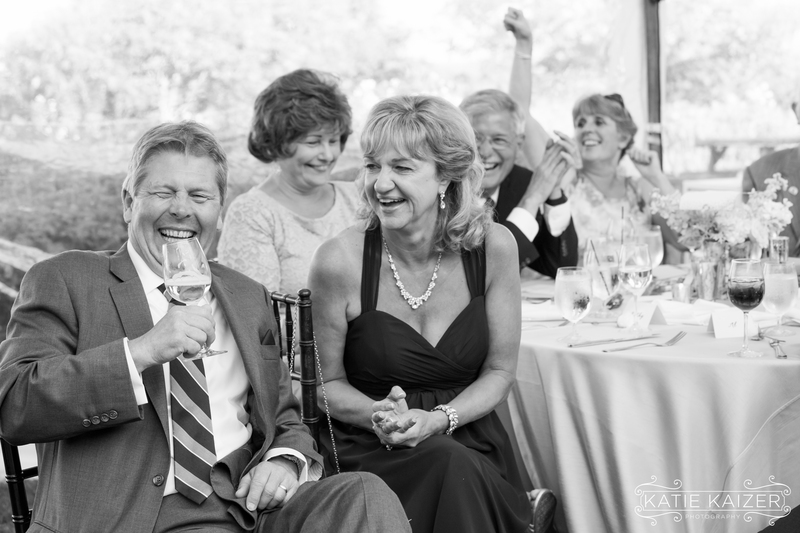 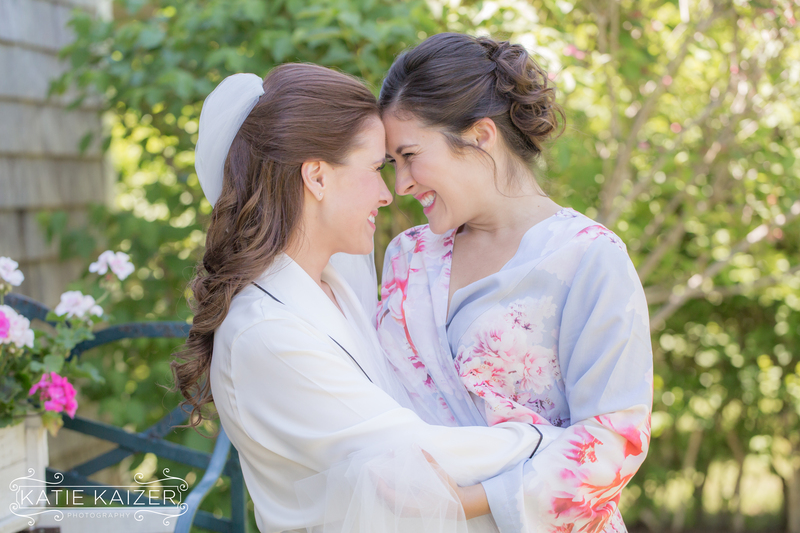 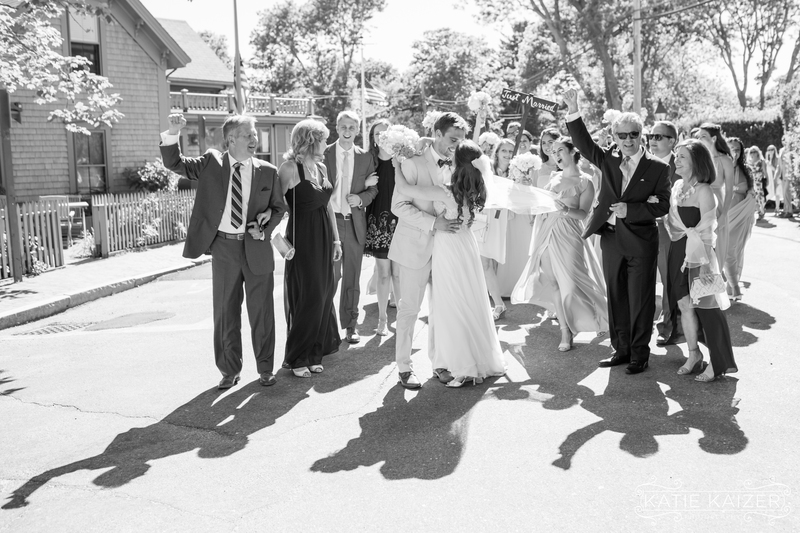 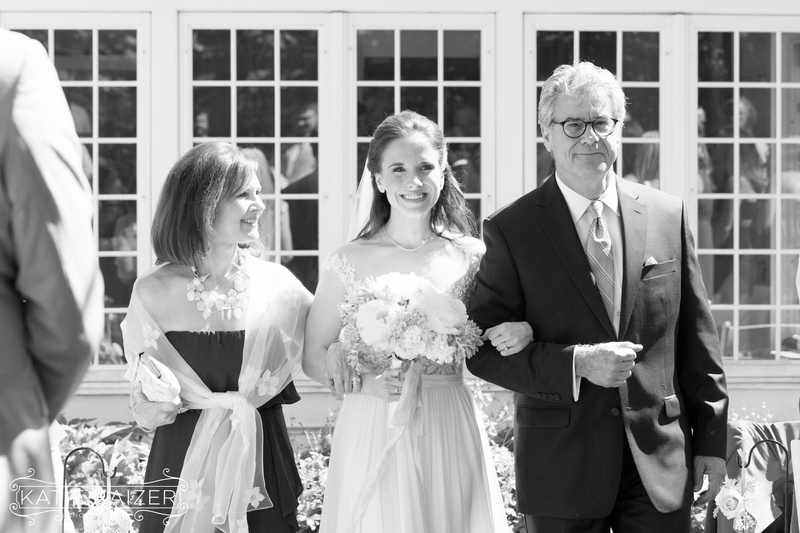 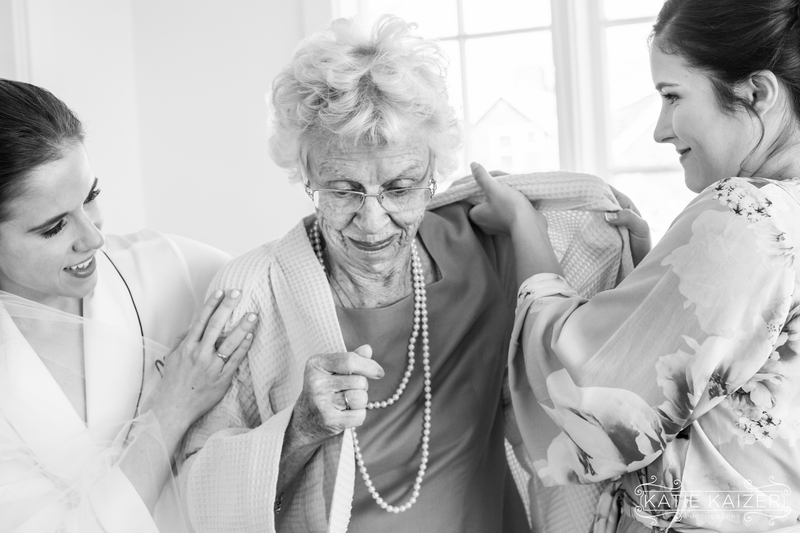 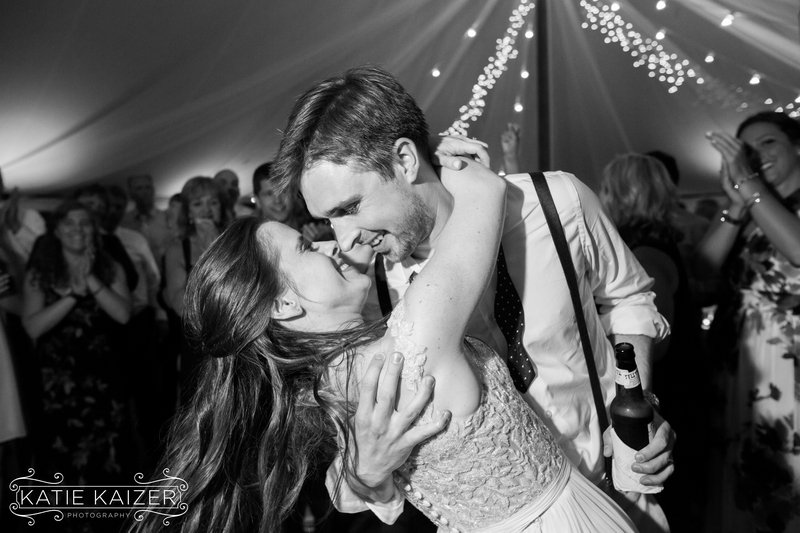 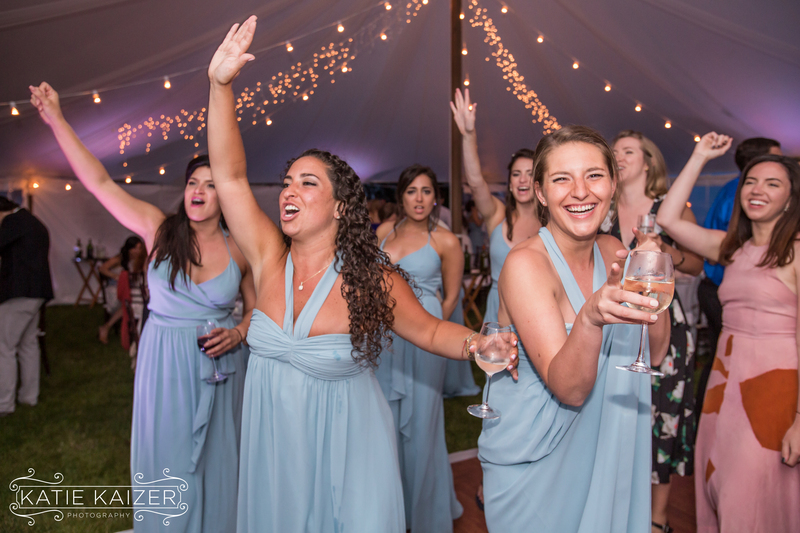 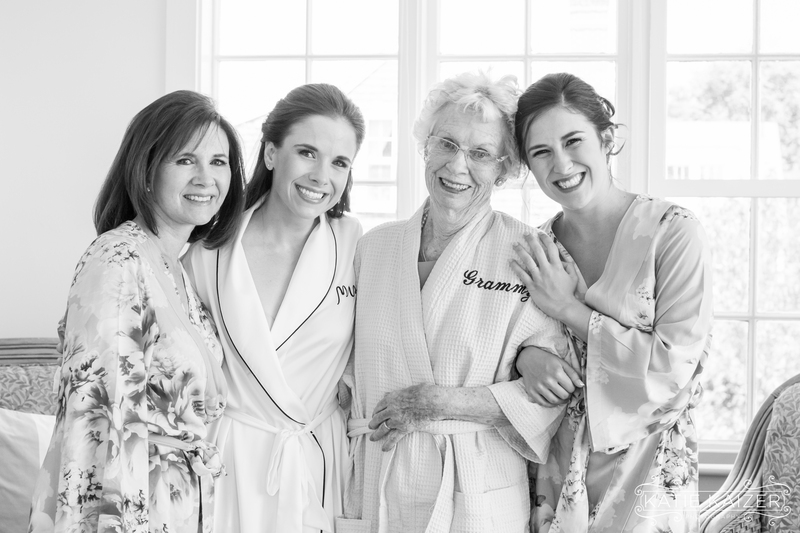 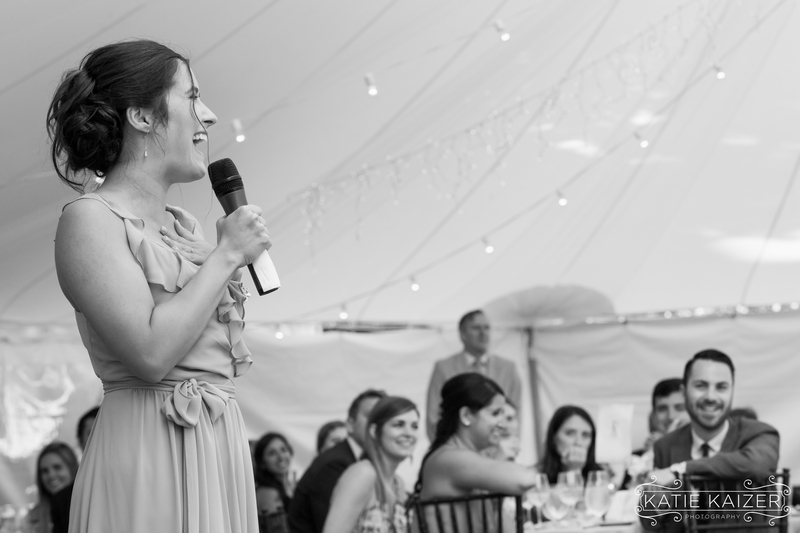 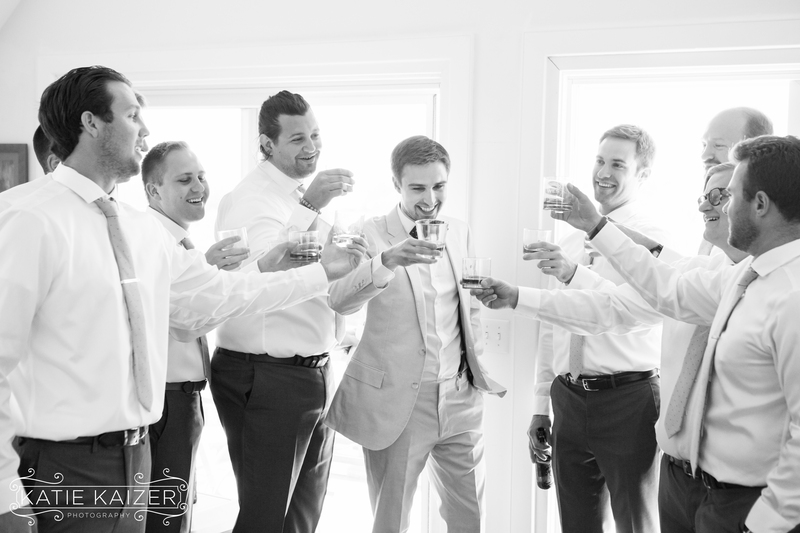 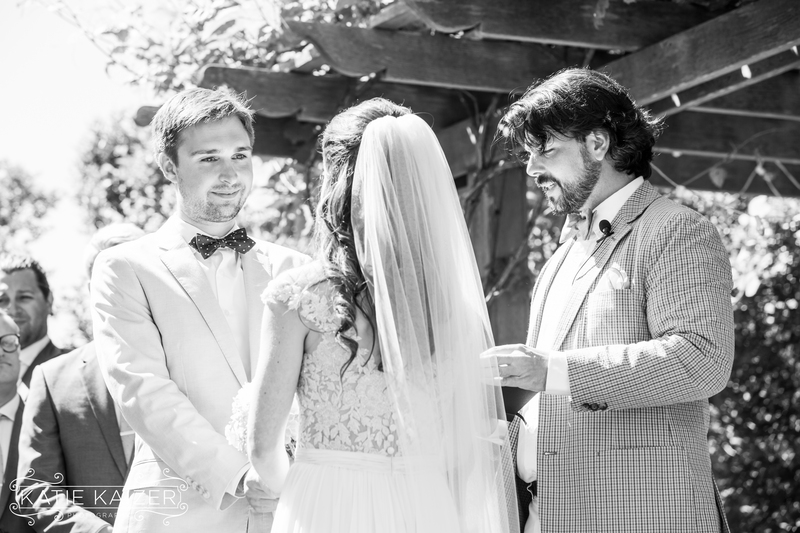 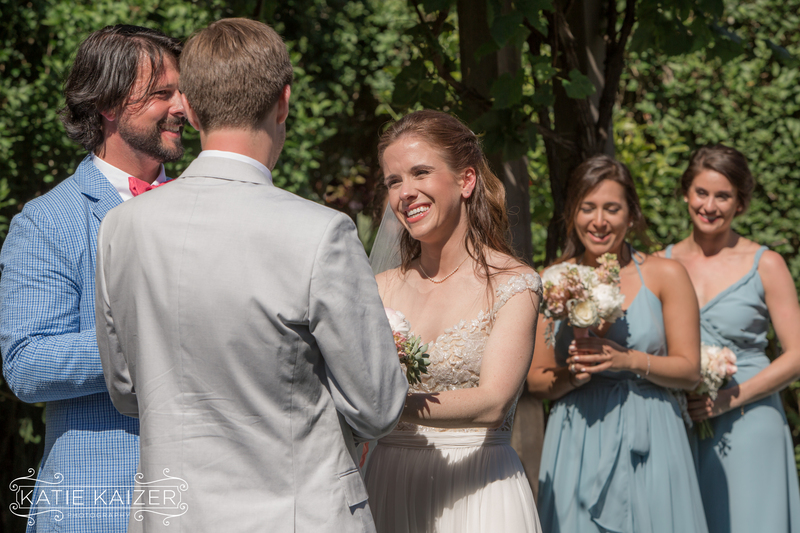 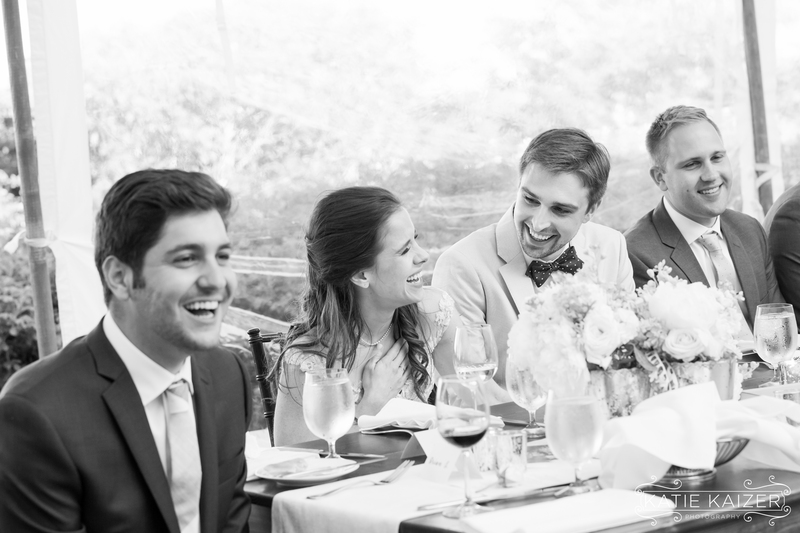 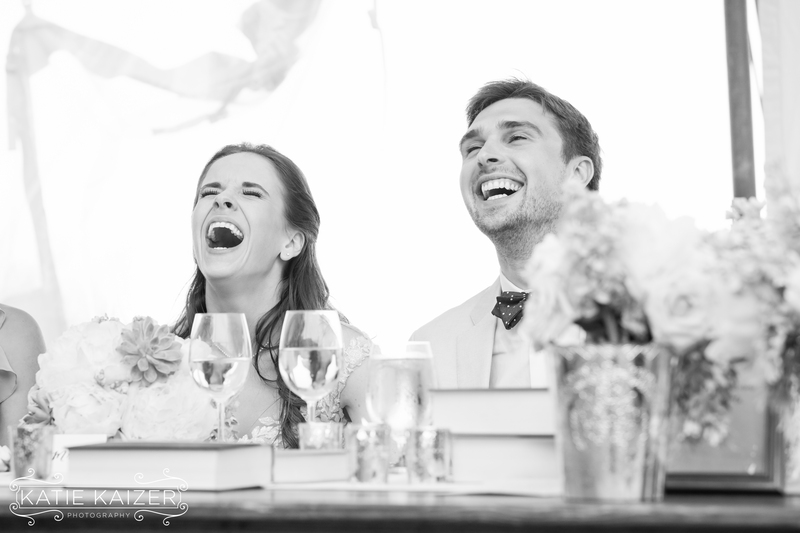 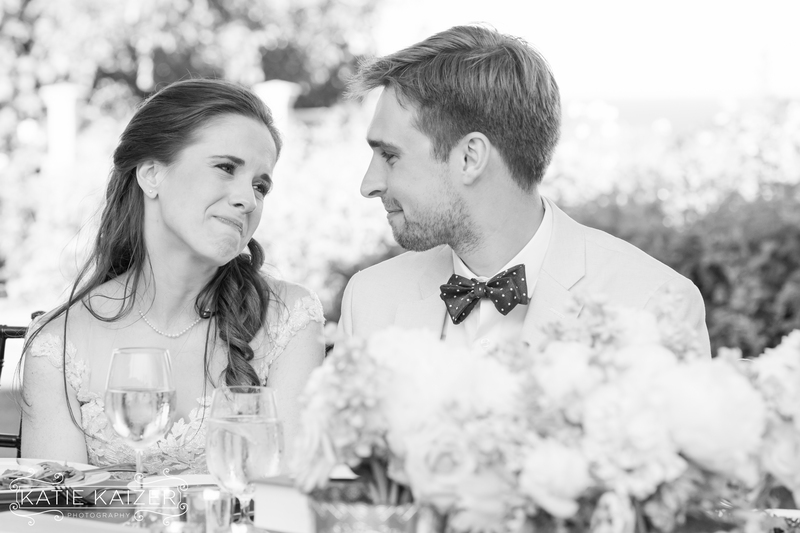 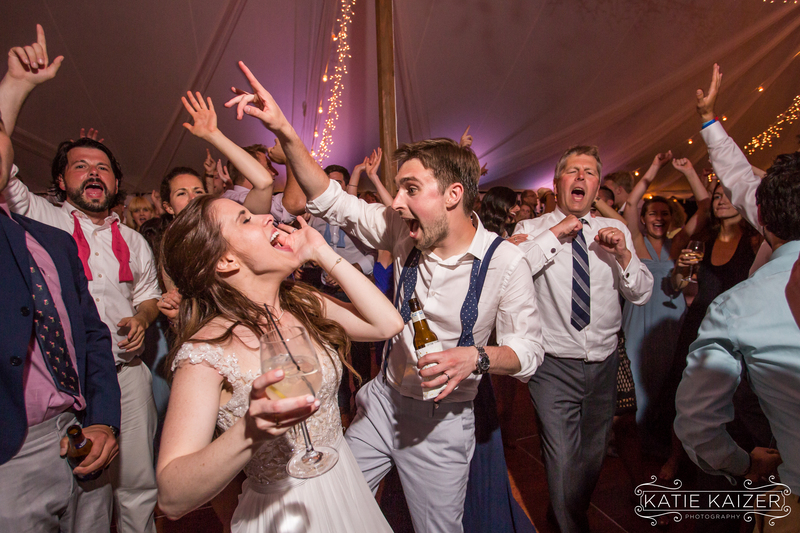 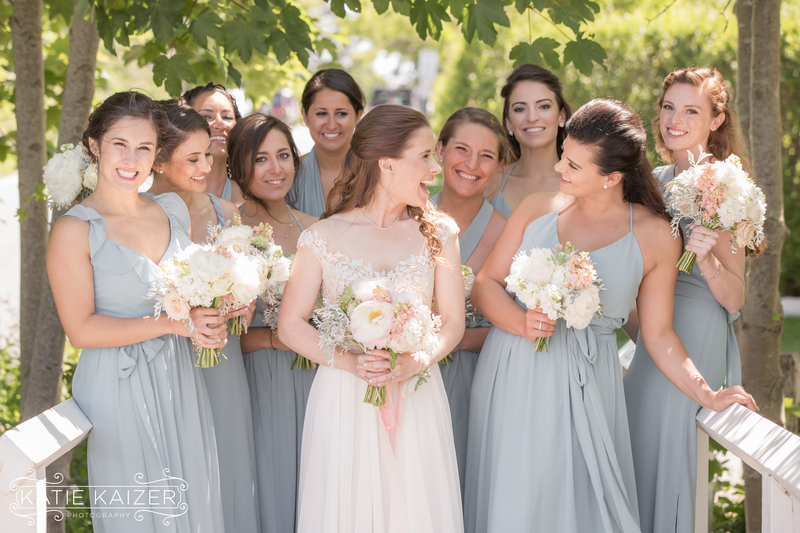 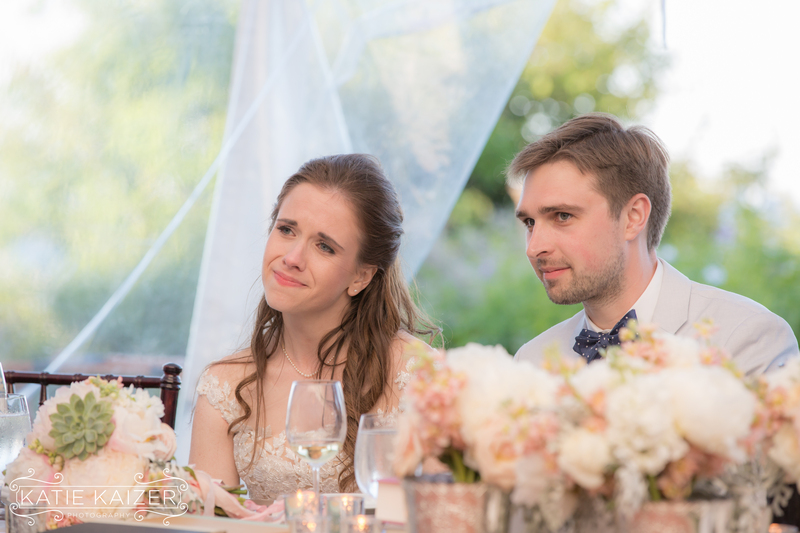 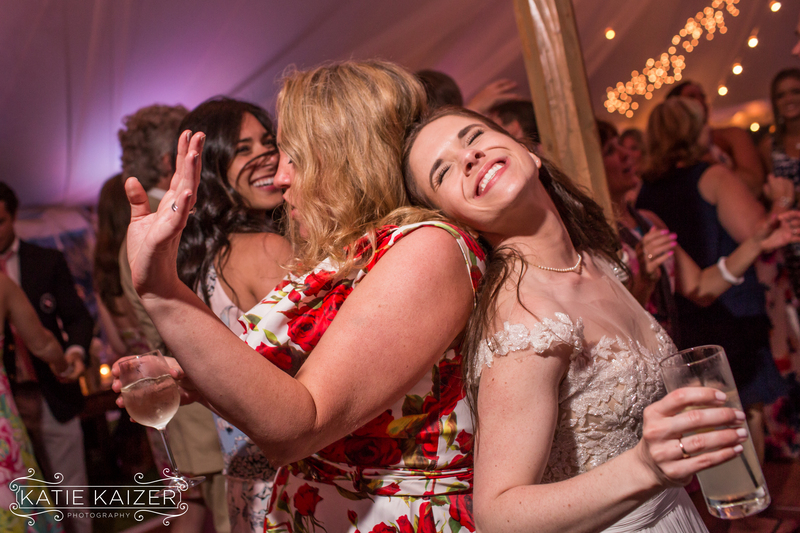 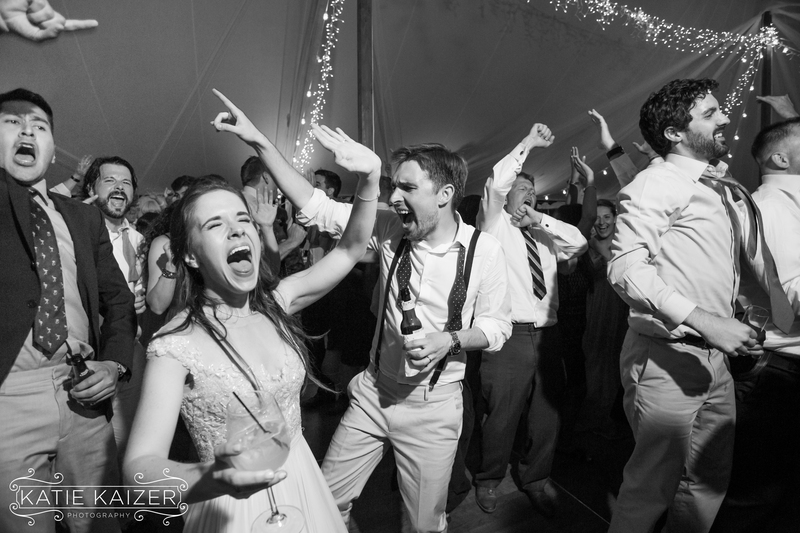 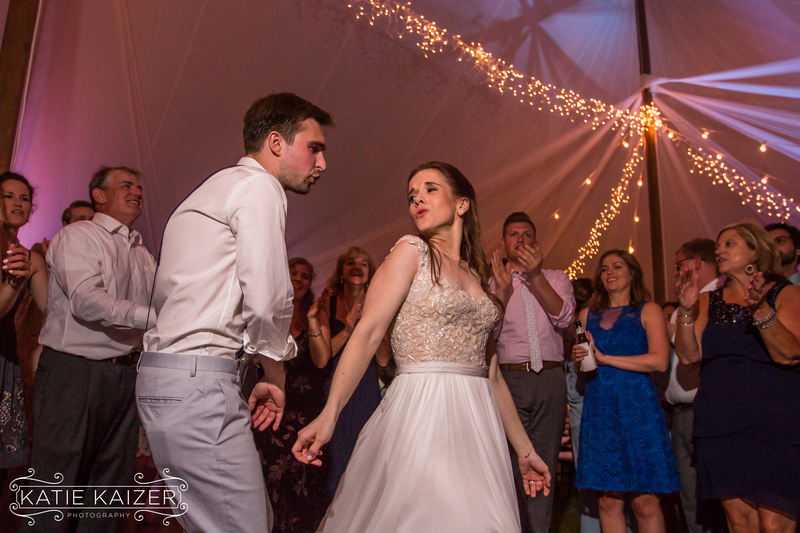 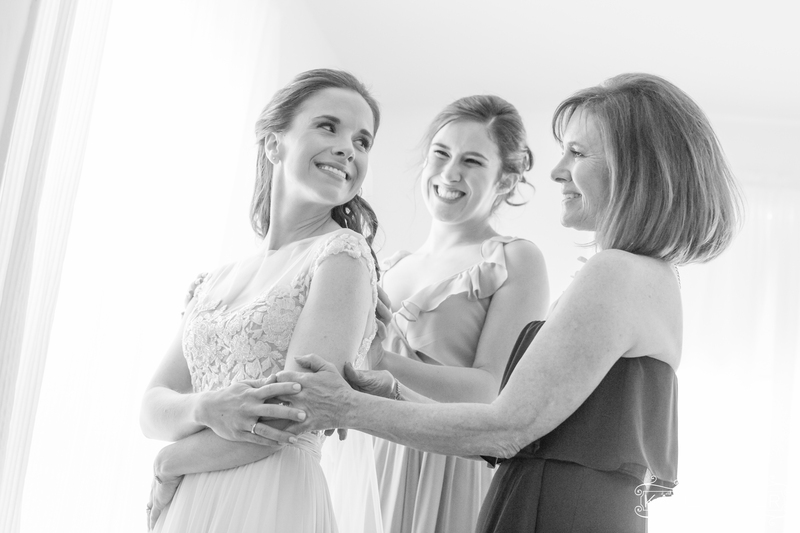 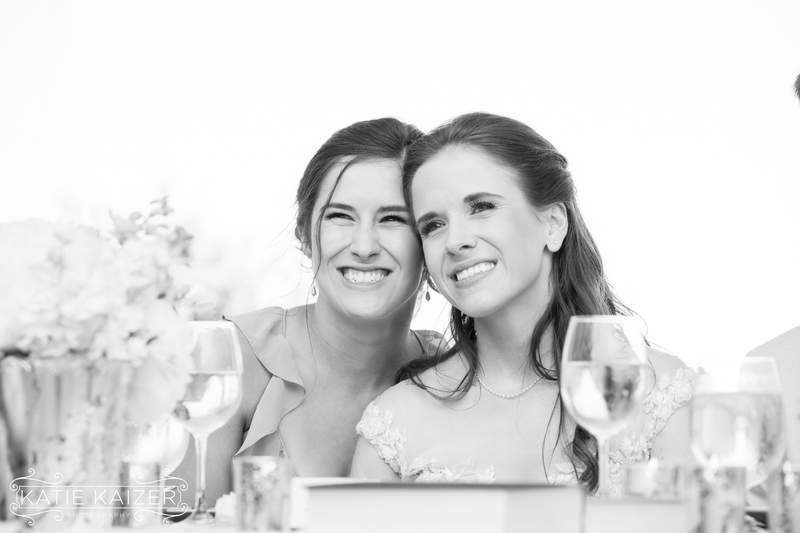 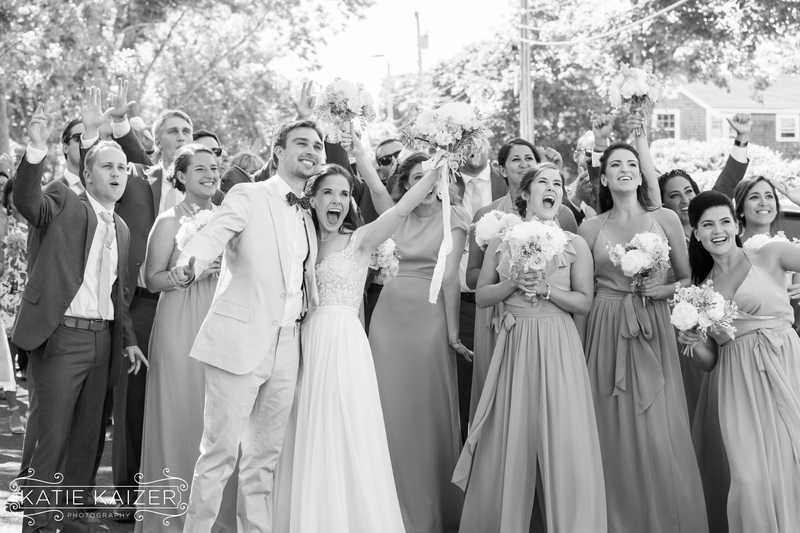 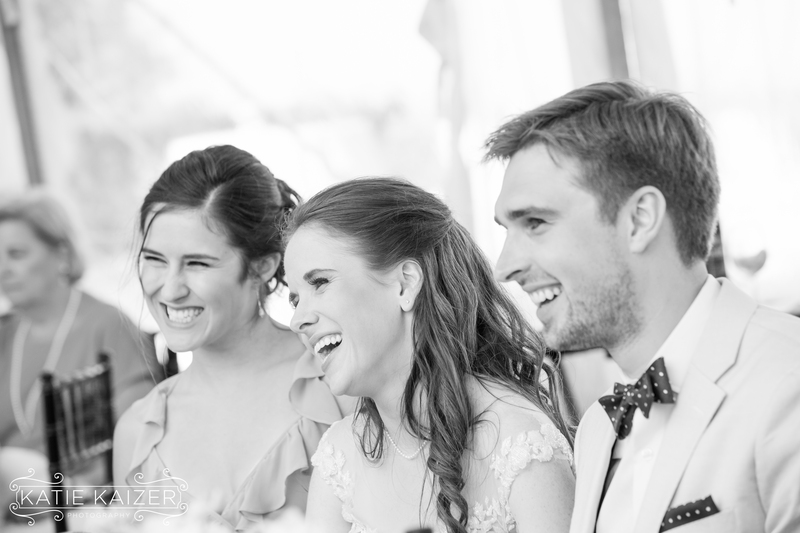 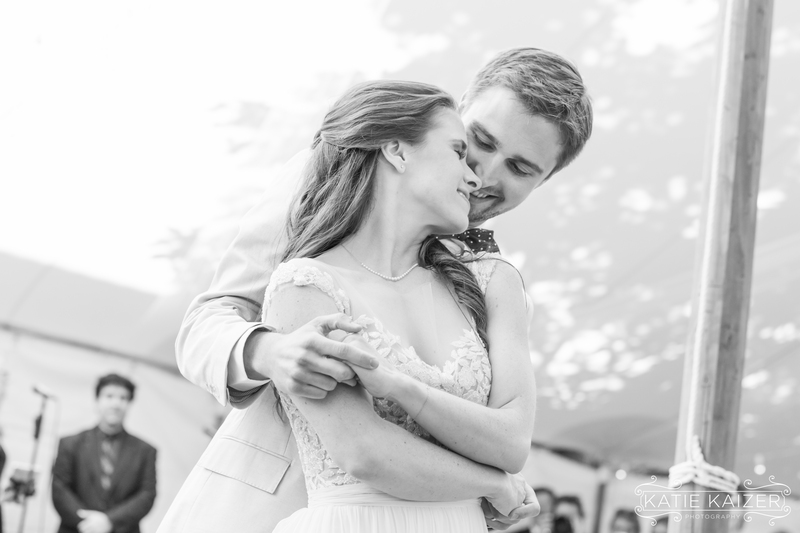 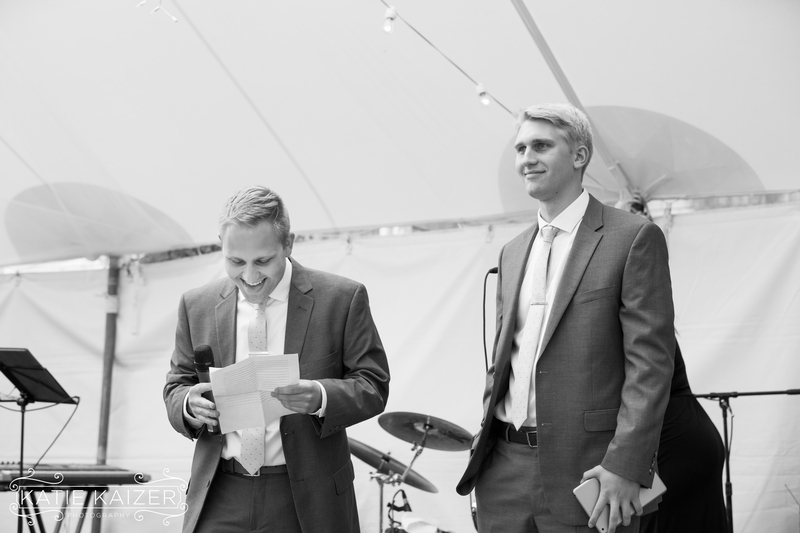 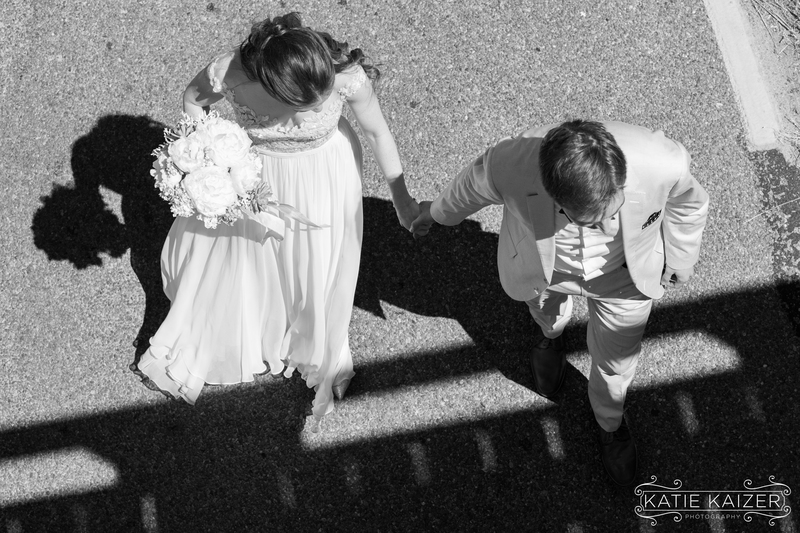 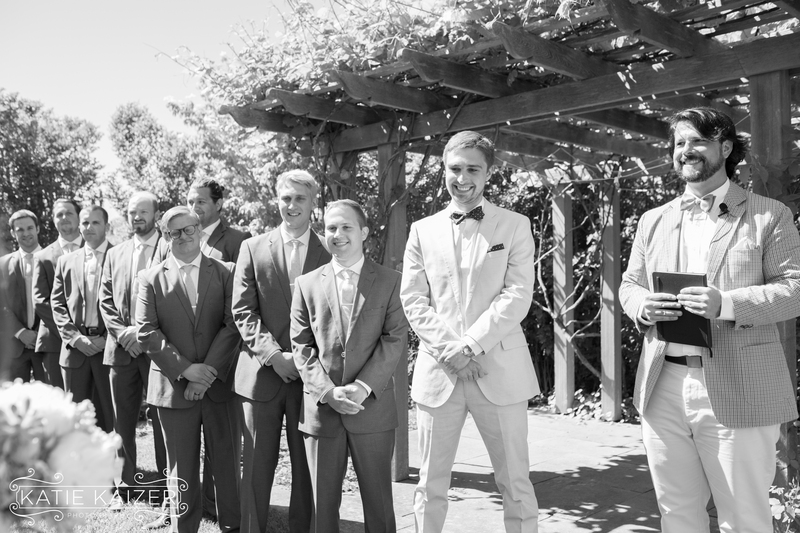 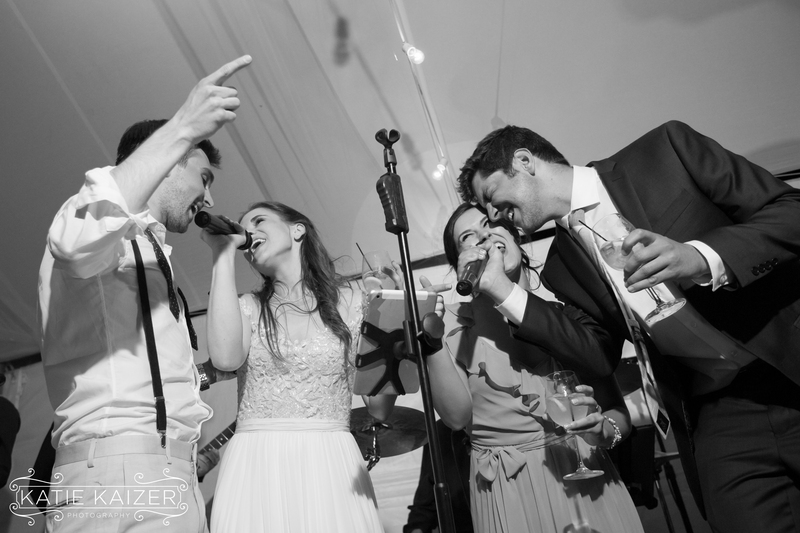 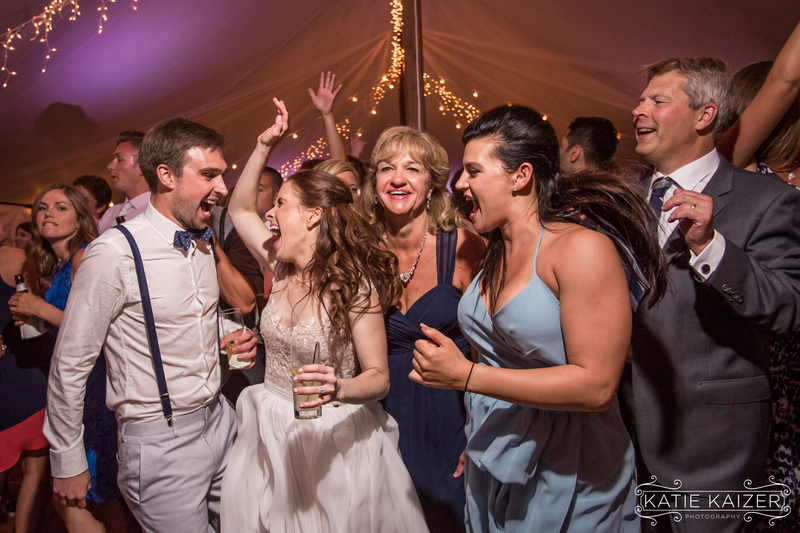 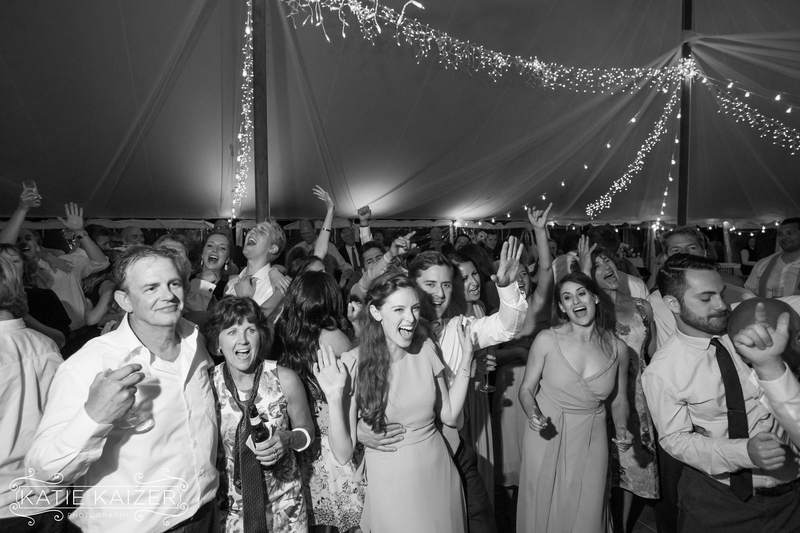 Something we all learned early on when we met Kelly is that she truly ‘loves love.’ She and Allan put all of their personality into the wedding and were sure that everyone around them had a spectacular day! 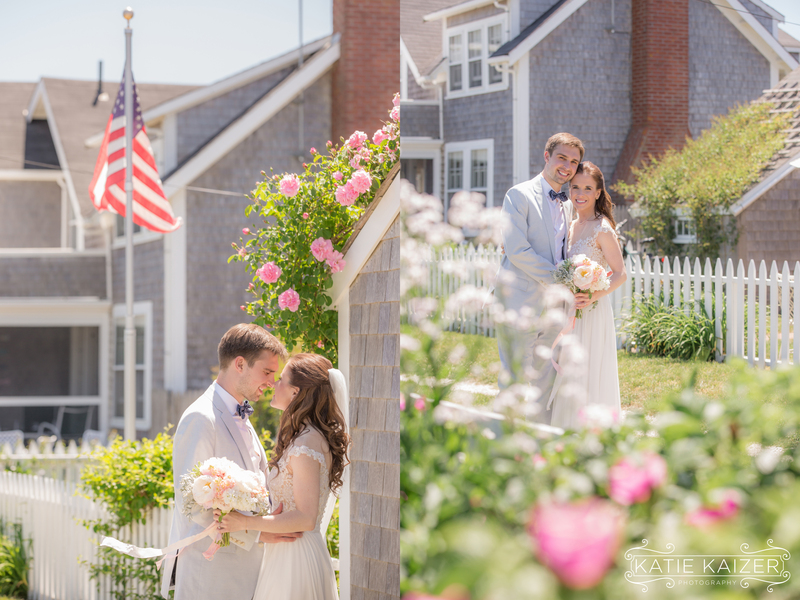 It was great photographing their wedding at The Wade Cottages where Kelly had visitors for summers as a kid. 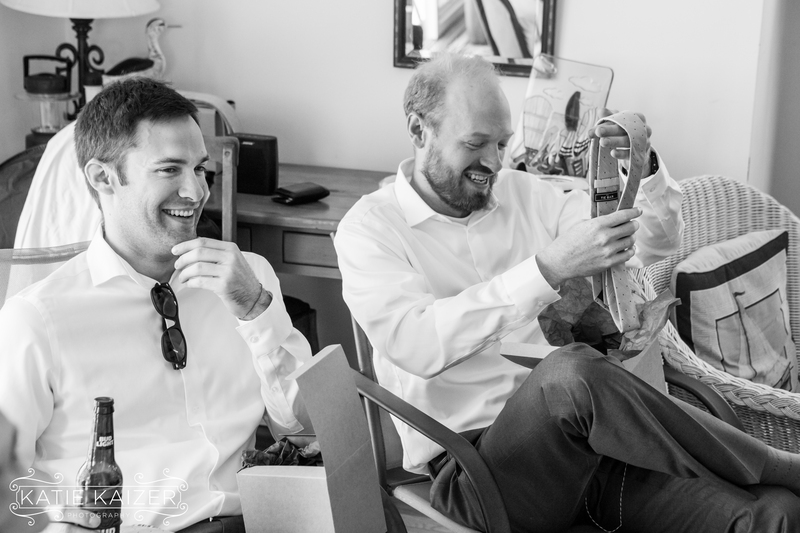 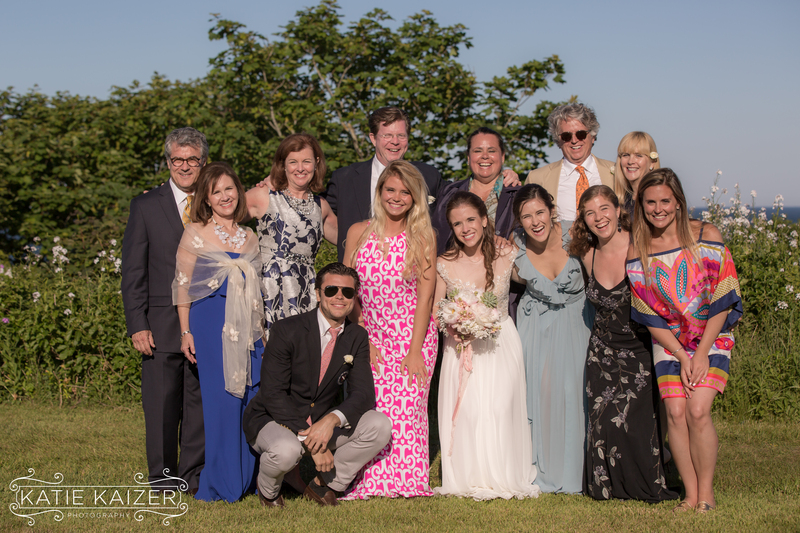 Hearing them all talk about their history on Nantucket was really wonderful…. 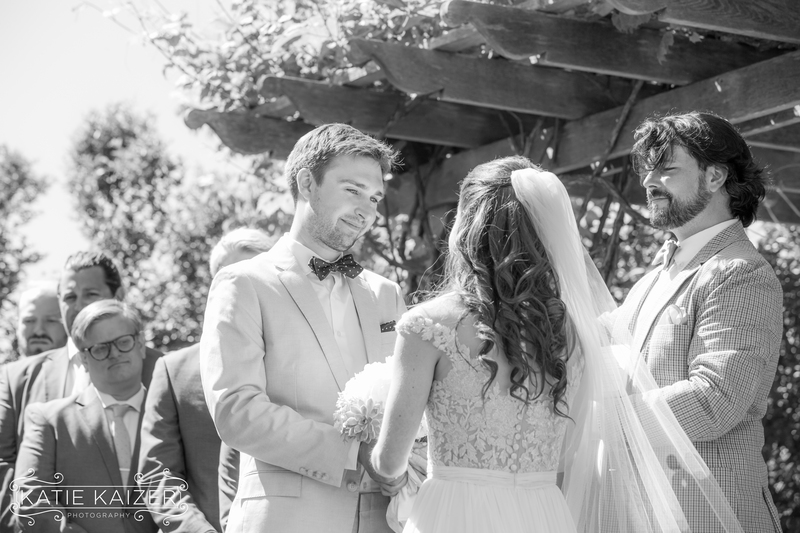 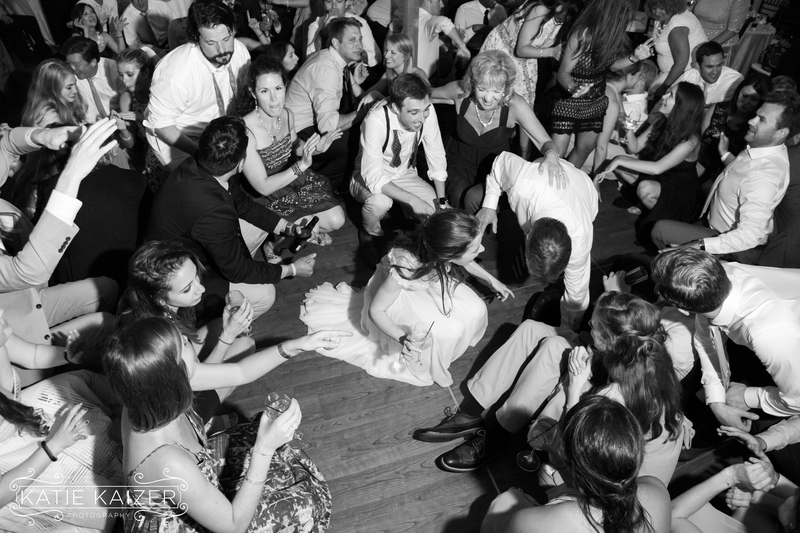 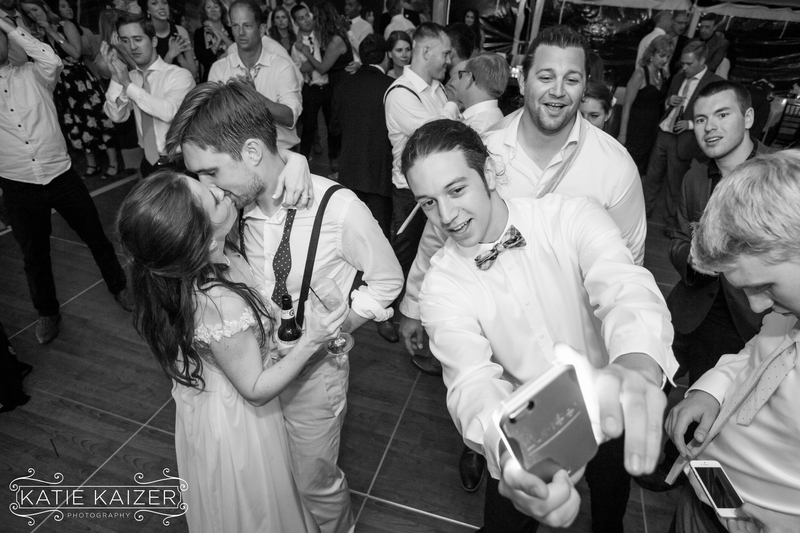 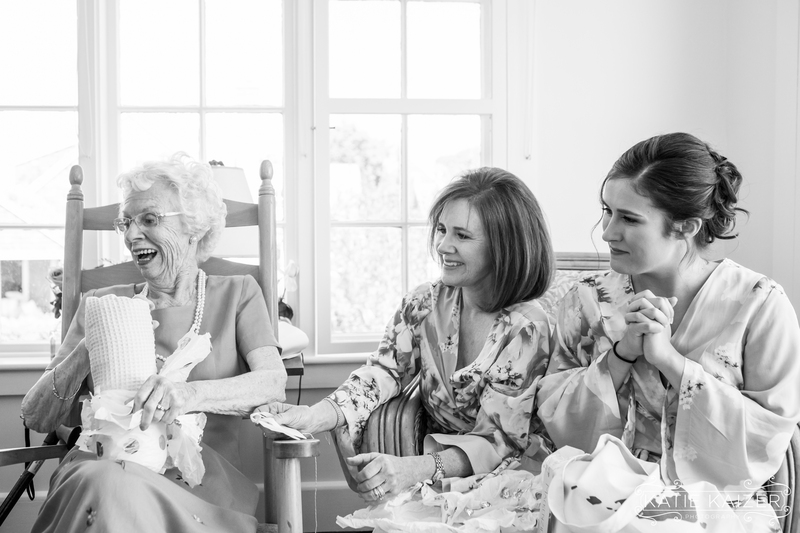 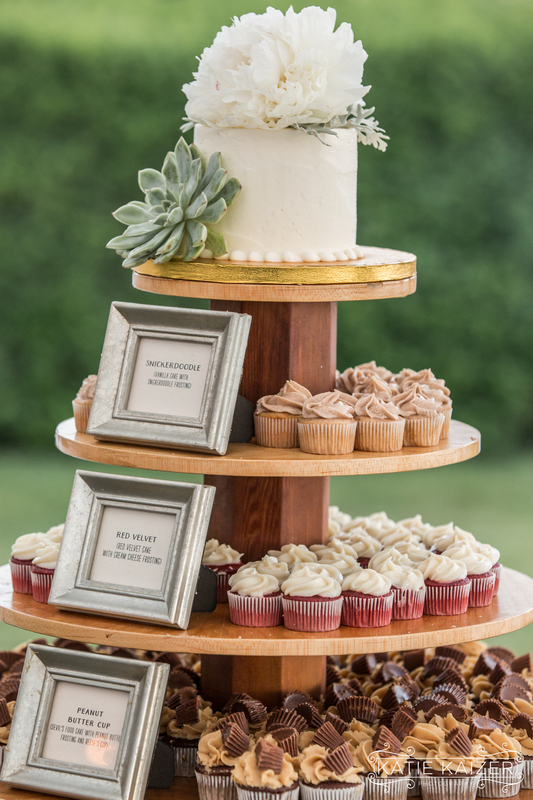 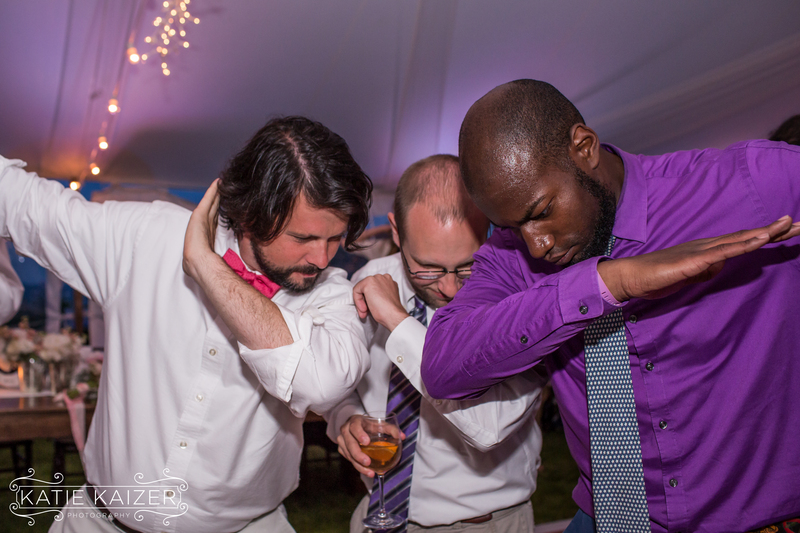 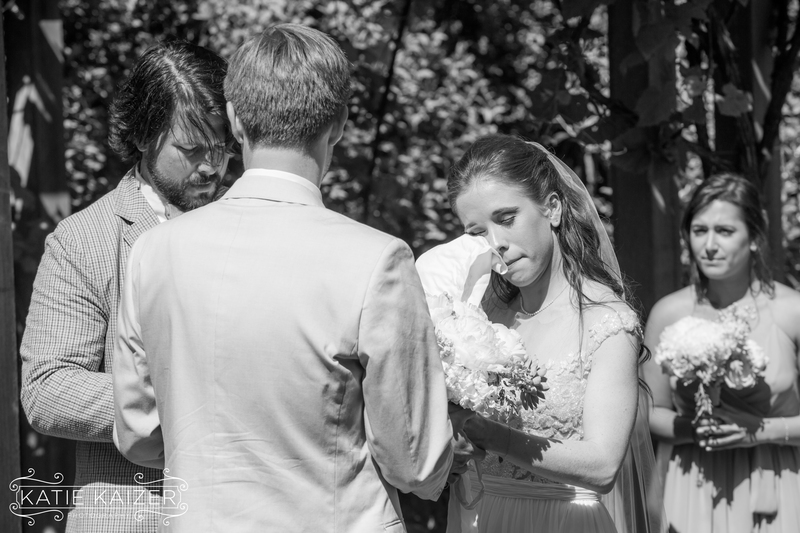 This was a wedding with so many moving parts and lots of incredible moments. 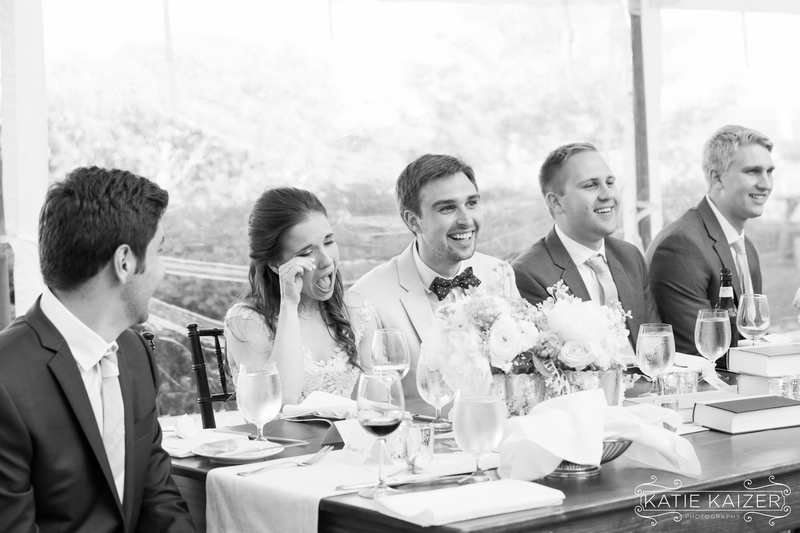 I was lucky to see Kelly and Allan a few days after the wedding and we all recounted the special day! 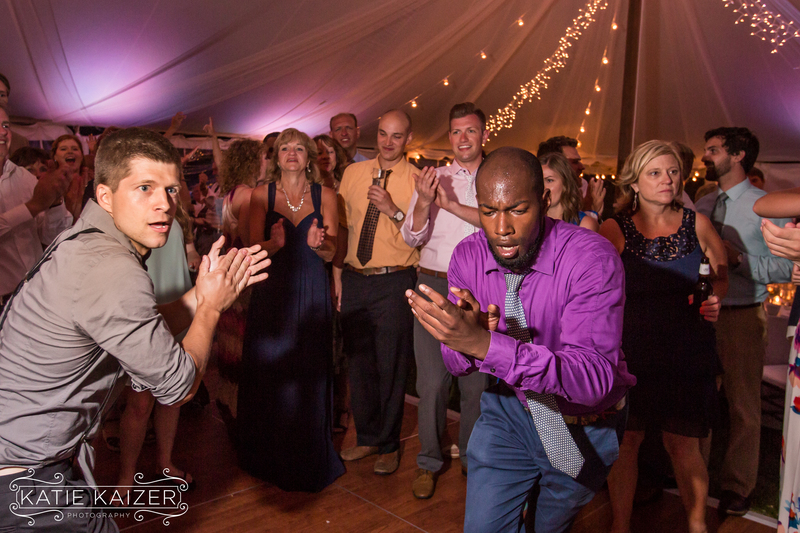 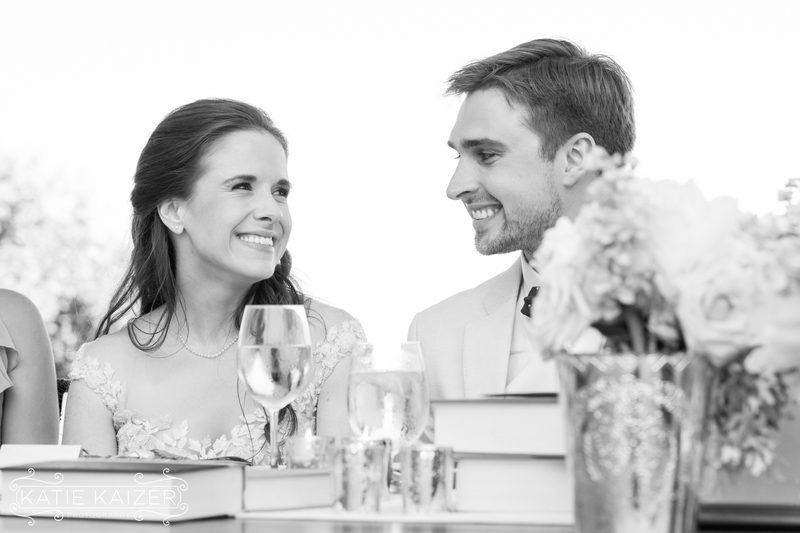 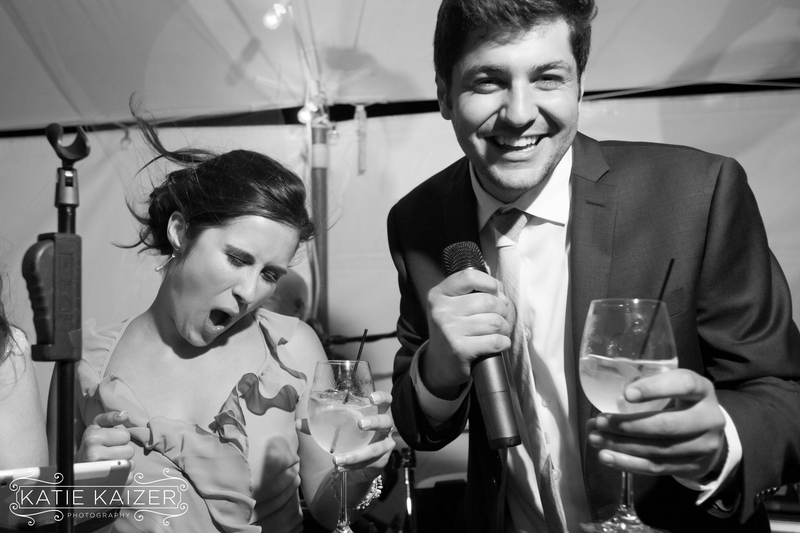 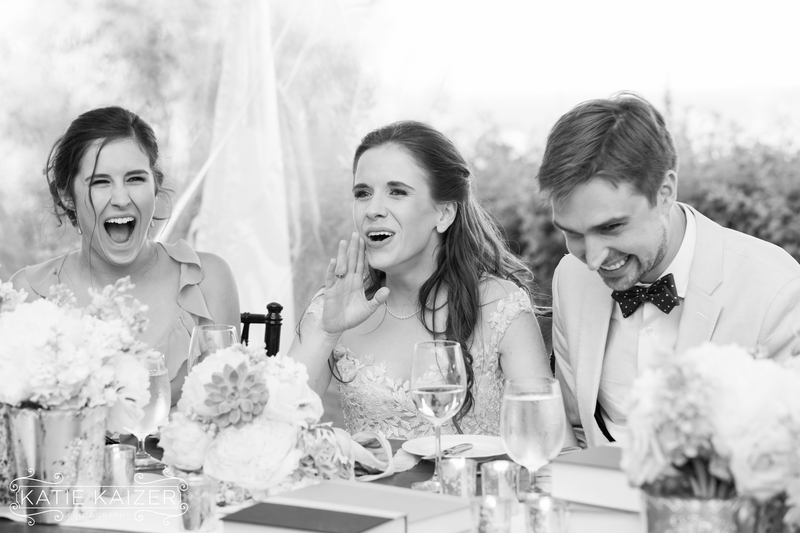 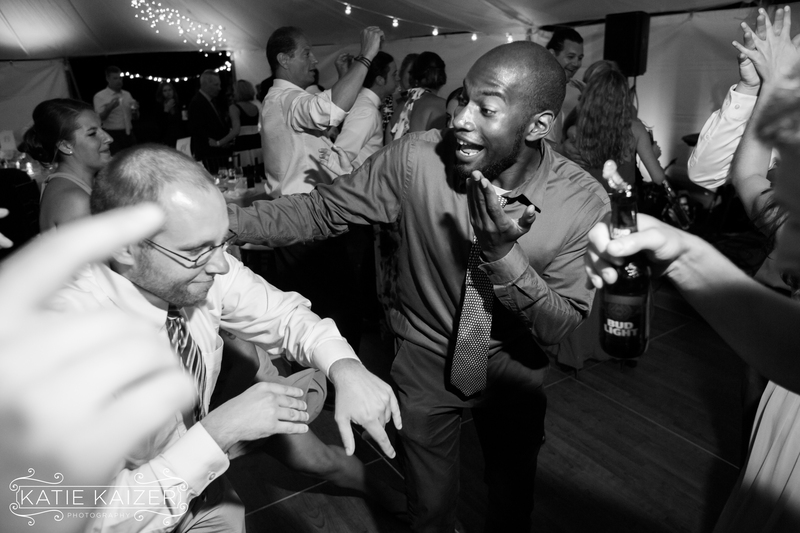 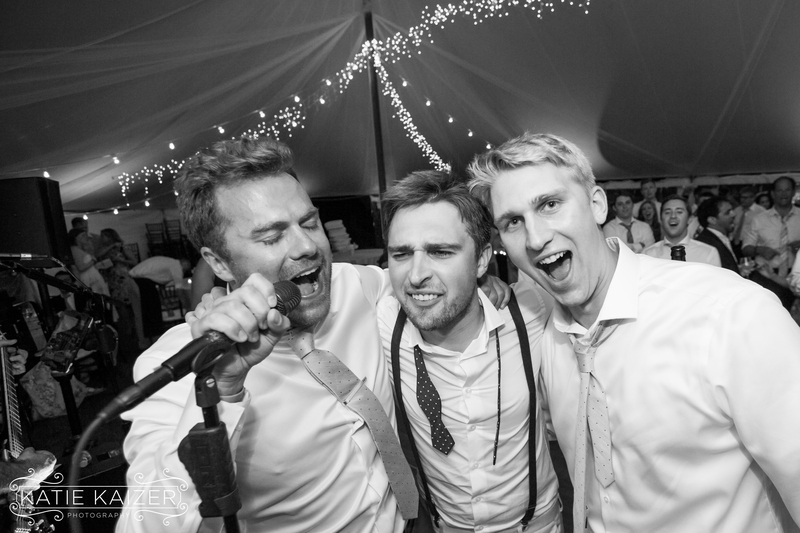 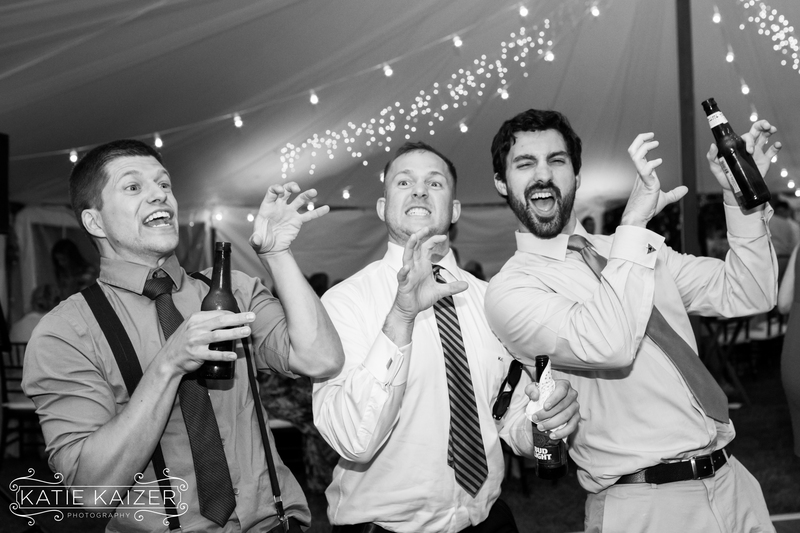 I asked Kelly about their most memorable parts of the wedding…. 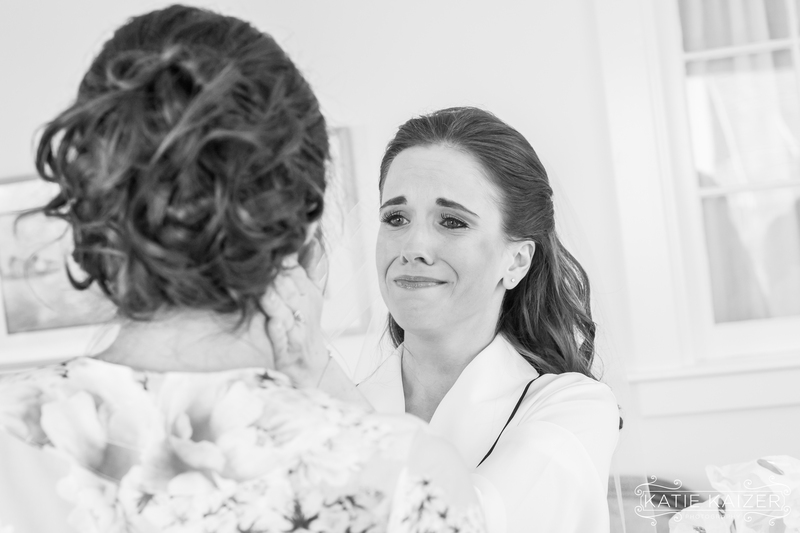 Kelly is truly a sweet heart. 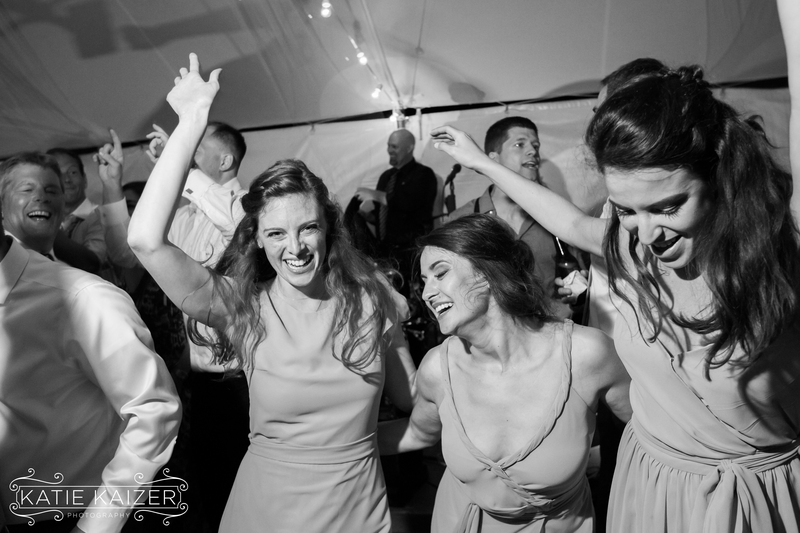 She refered to our vendor team as the ‘Dream Team’ and I must say this wedding was so much fun even before it happened. 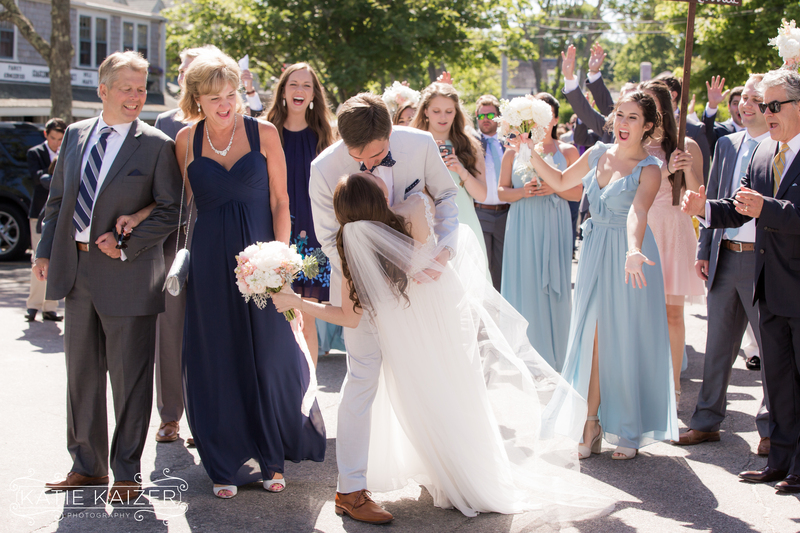 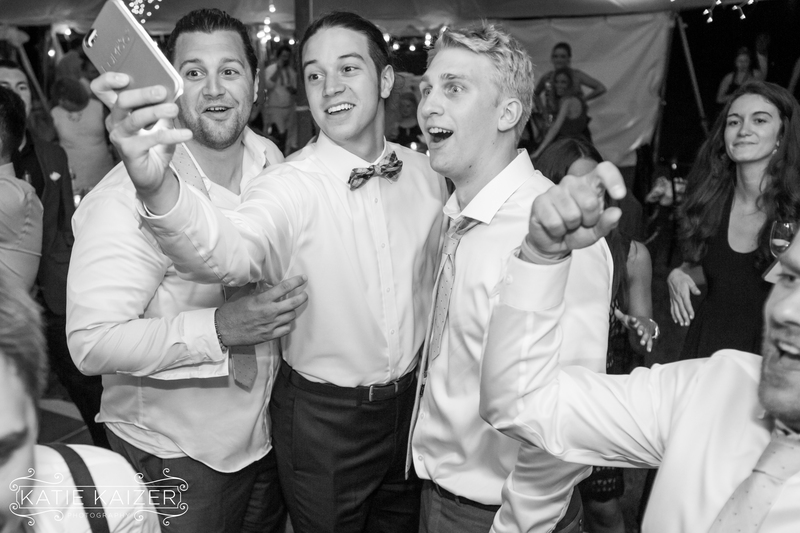 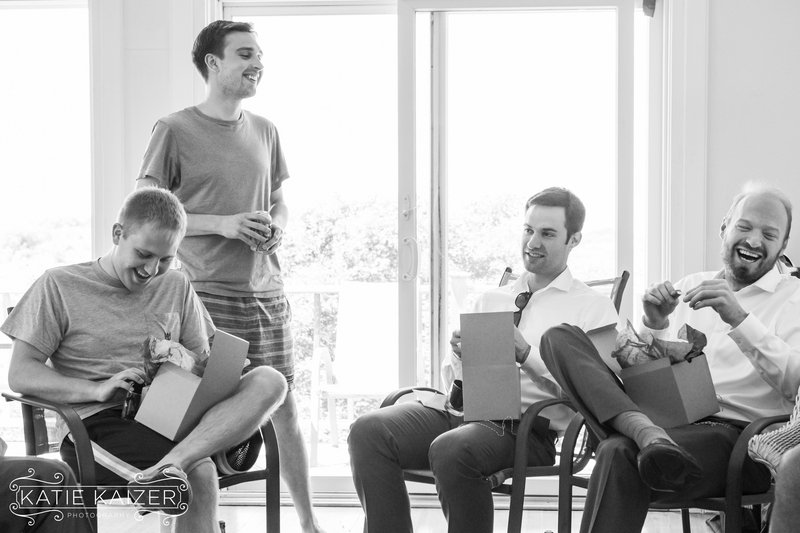 We all had great meetings and truly loved putting on this unique wedding. 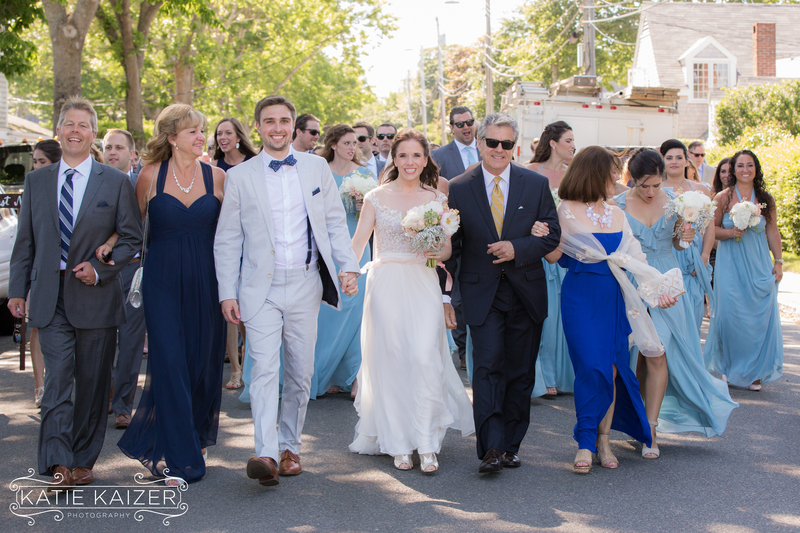 The parade through Sconset was something we’ll all remember forever! 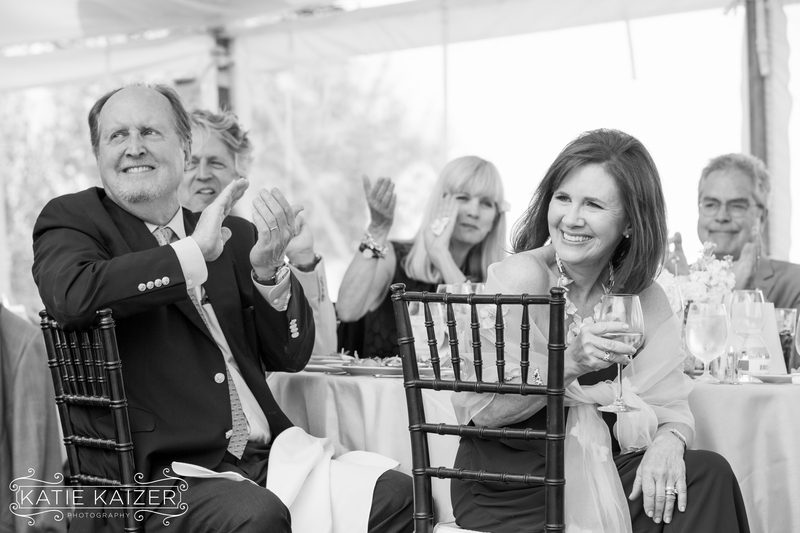 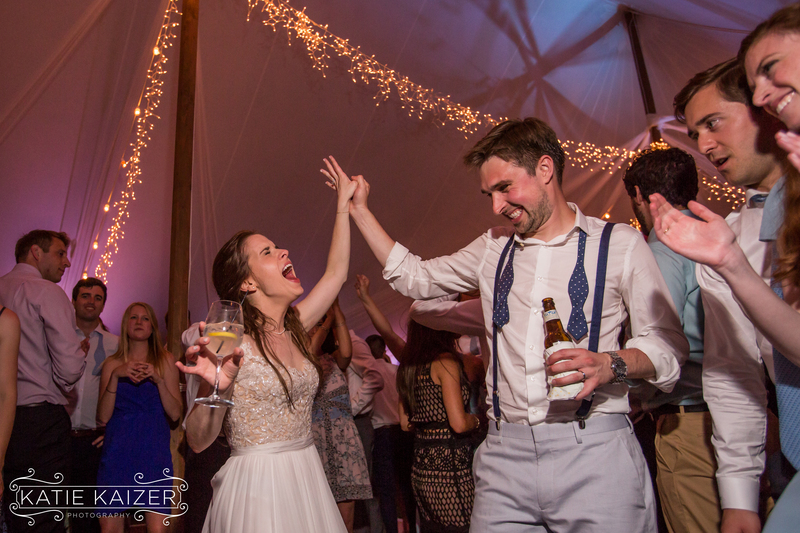 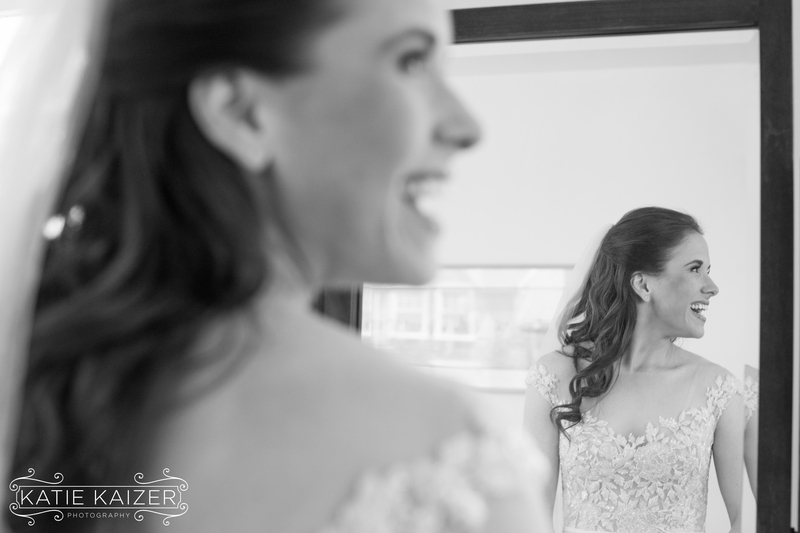 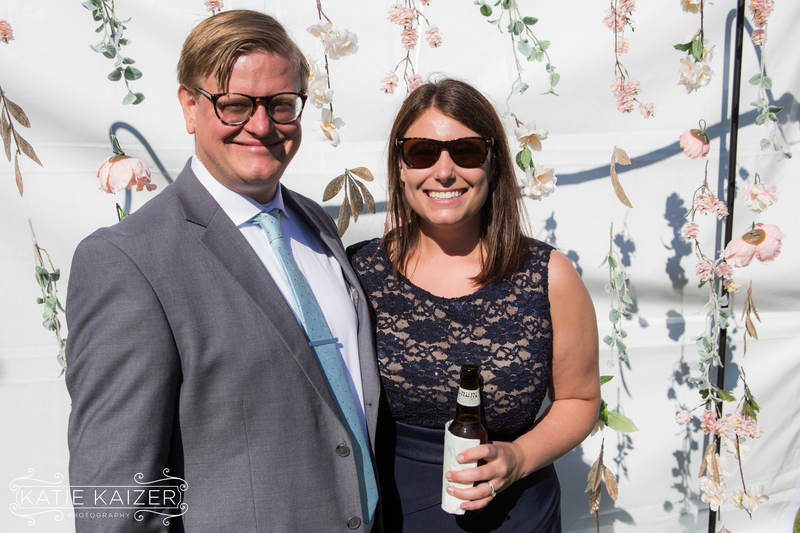 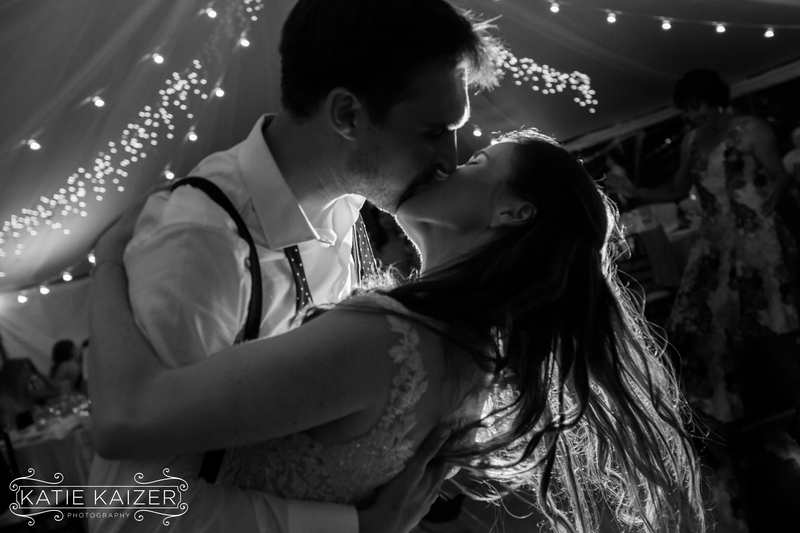 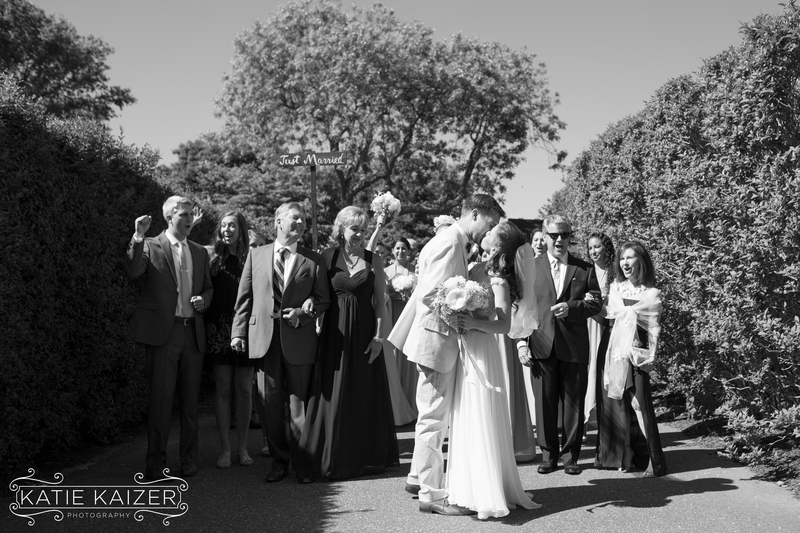 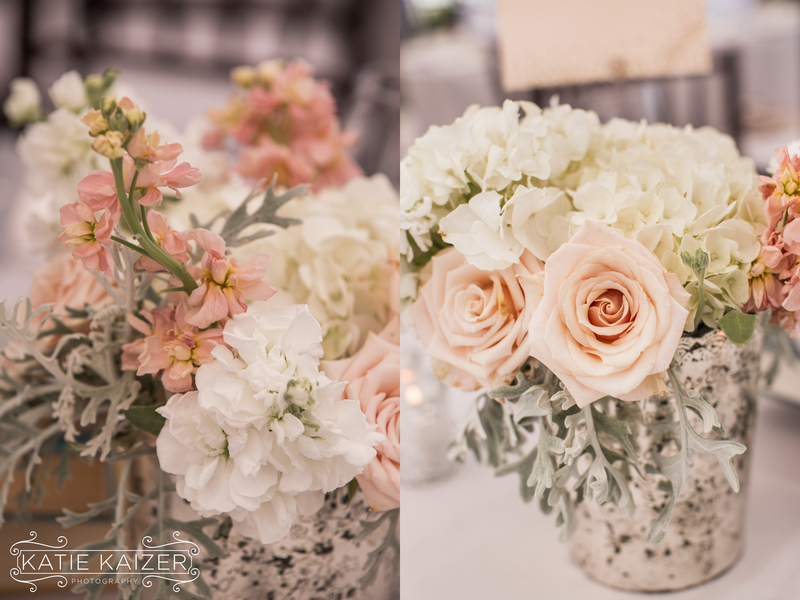 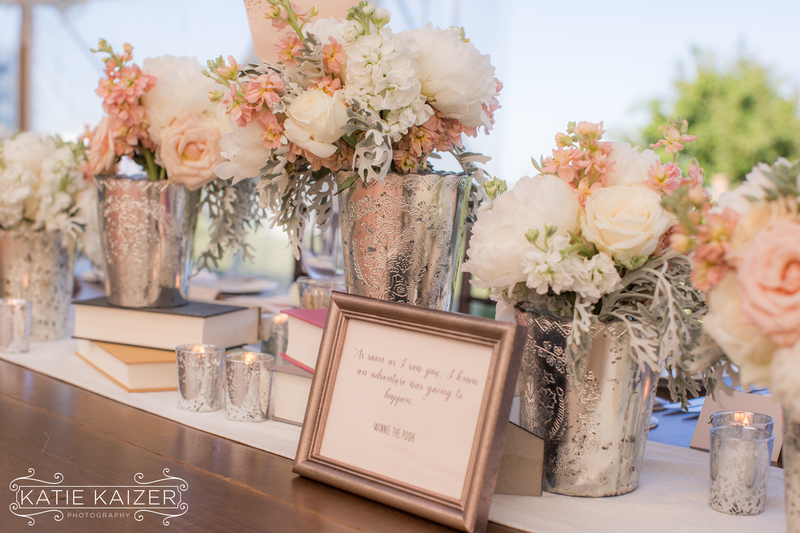 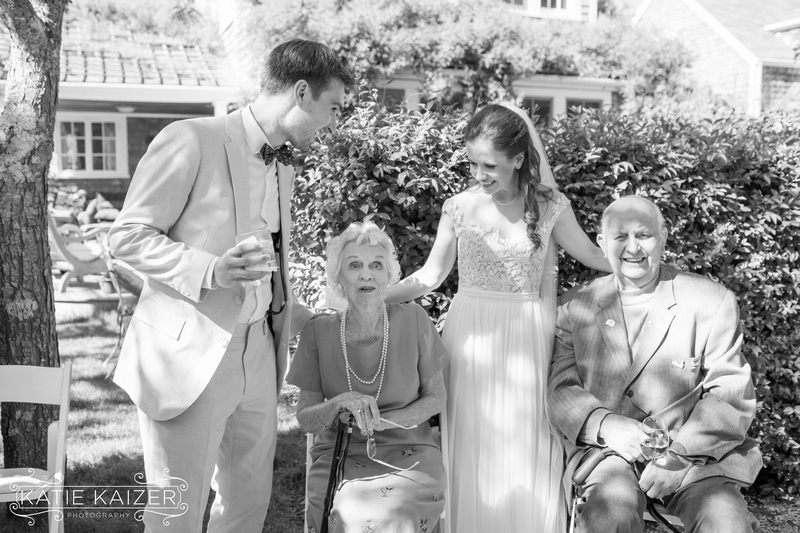 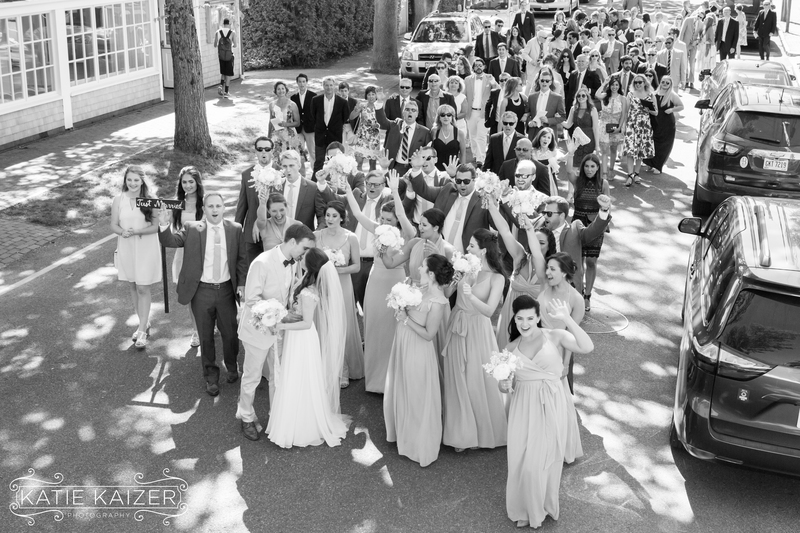 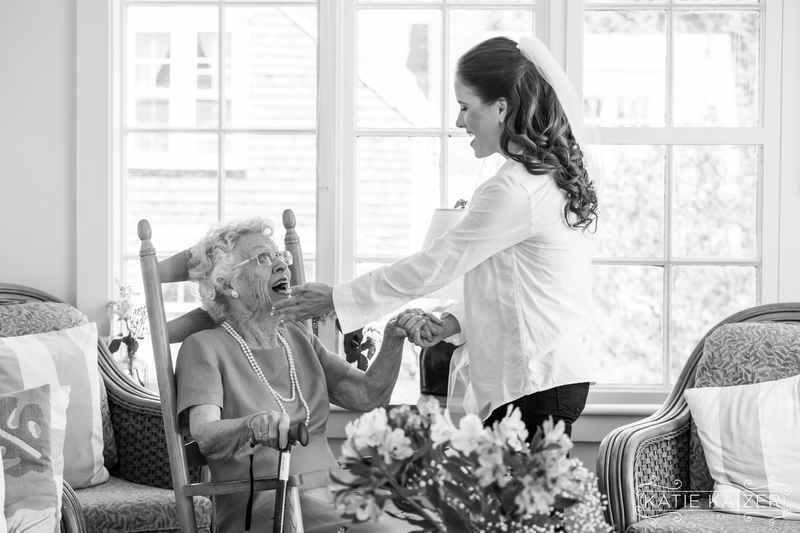 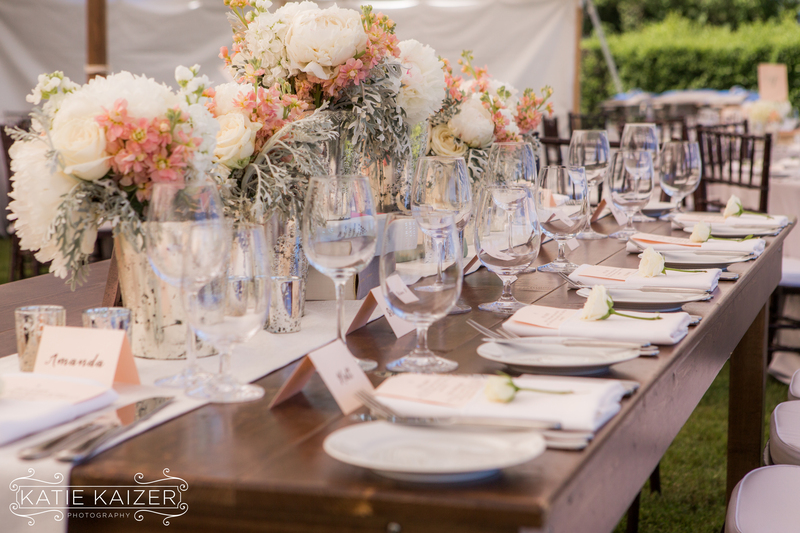 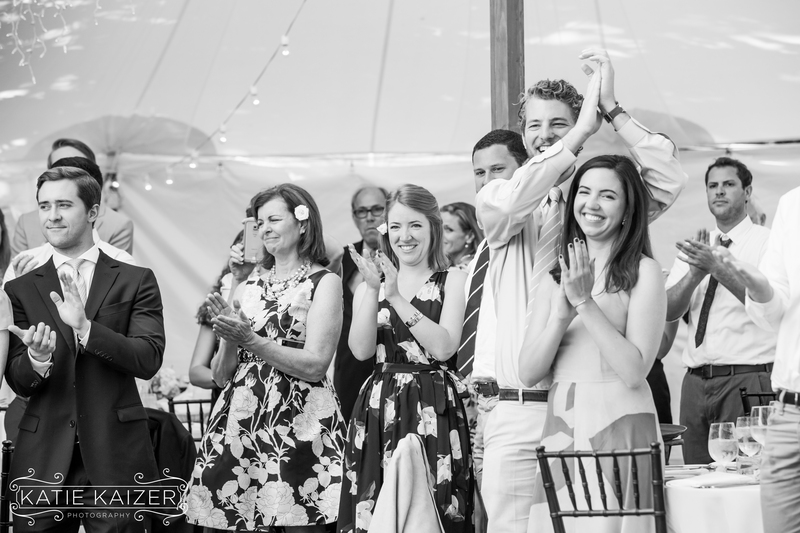 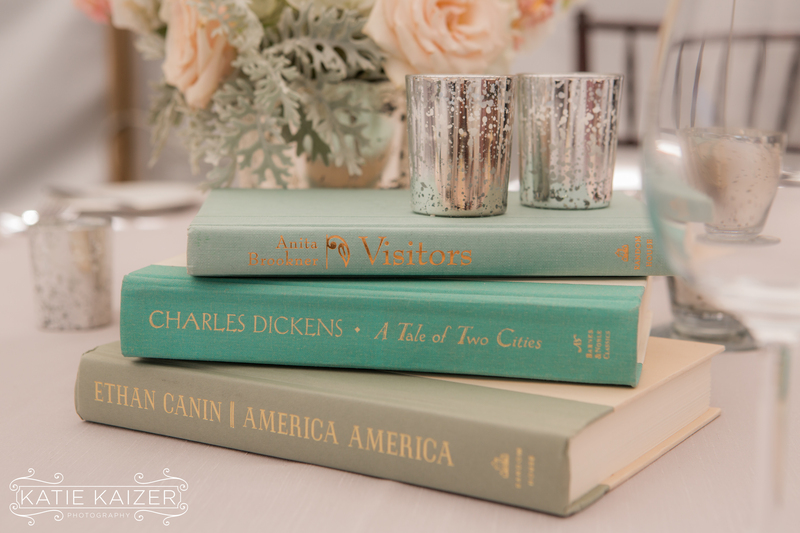 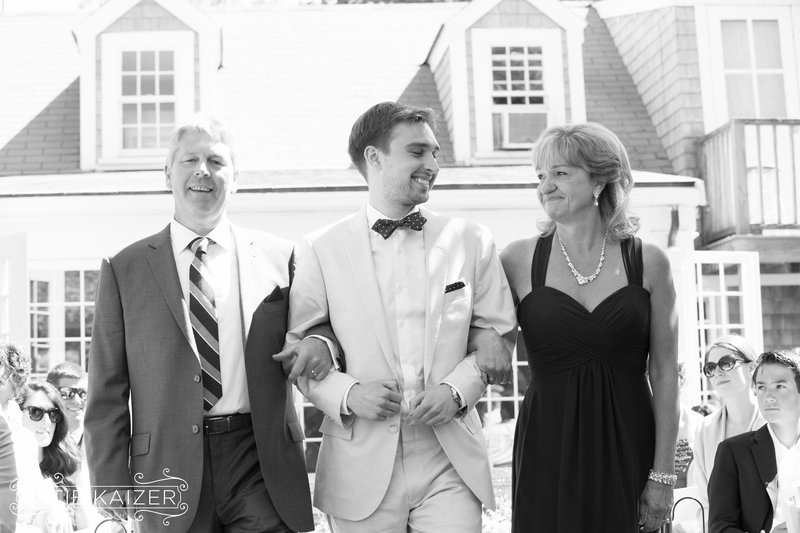 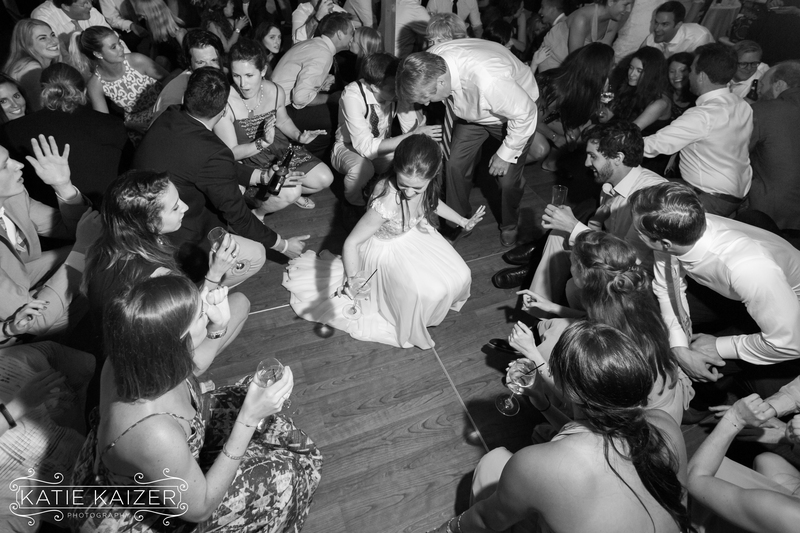 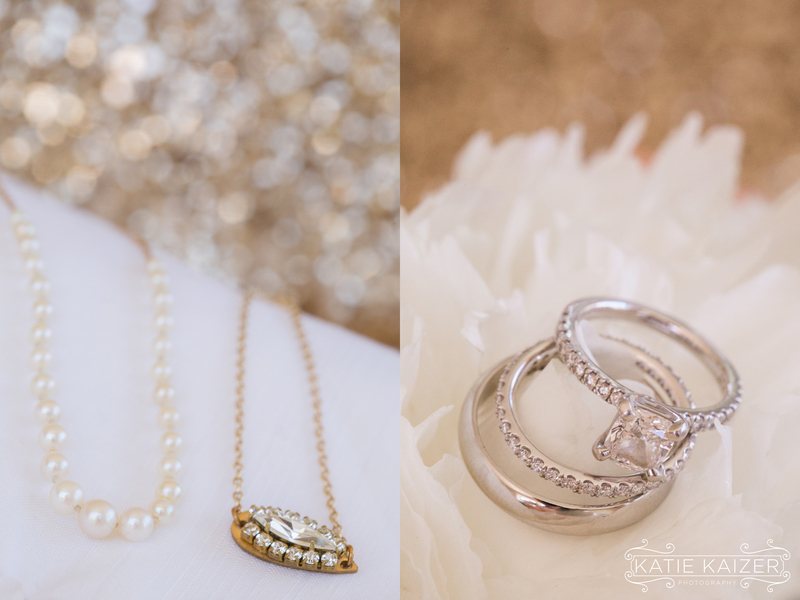 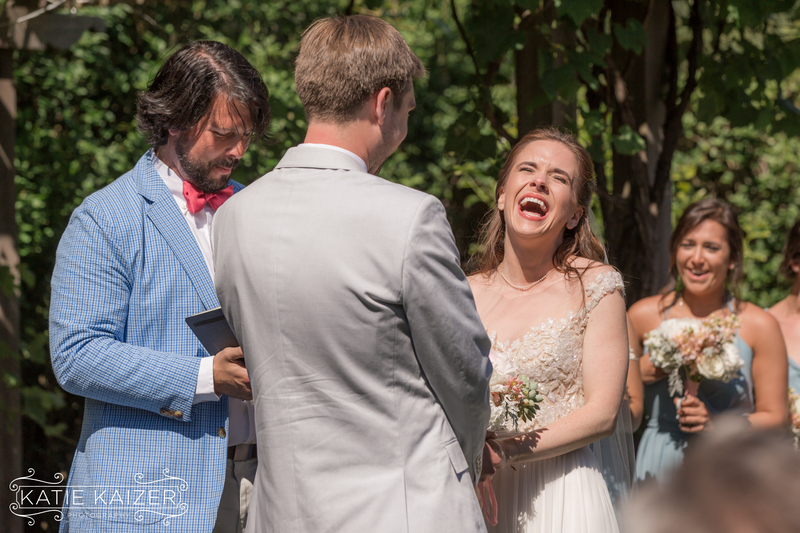 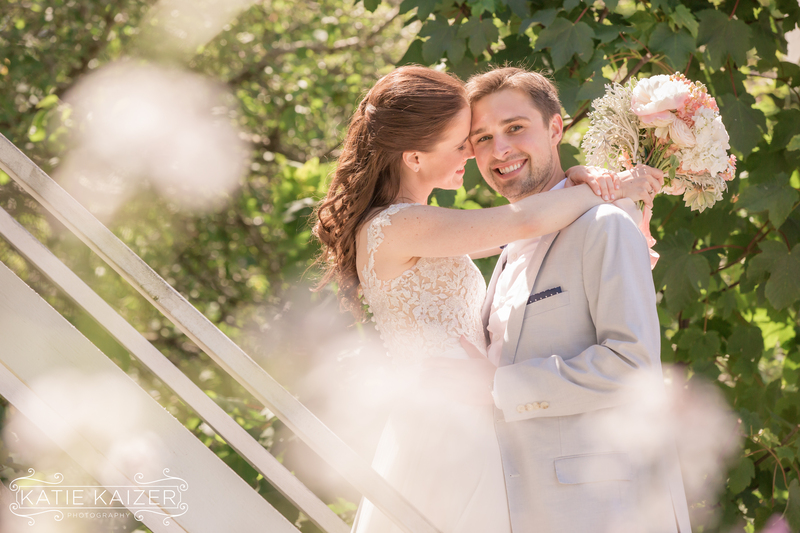 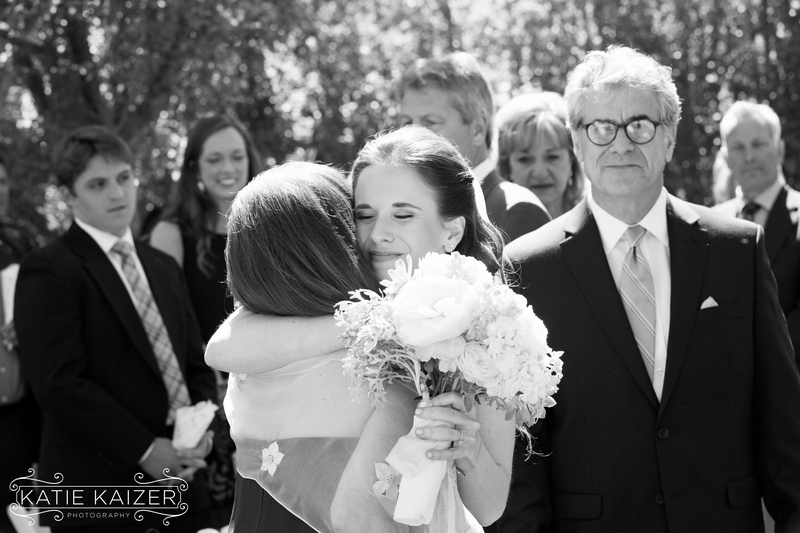 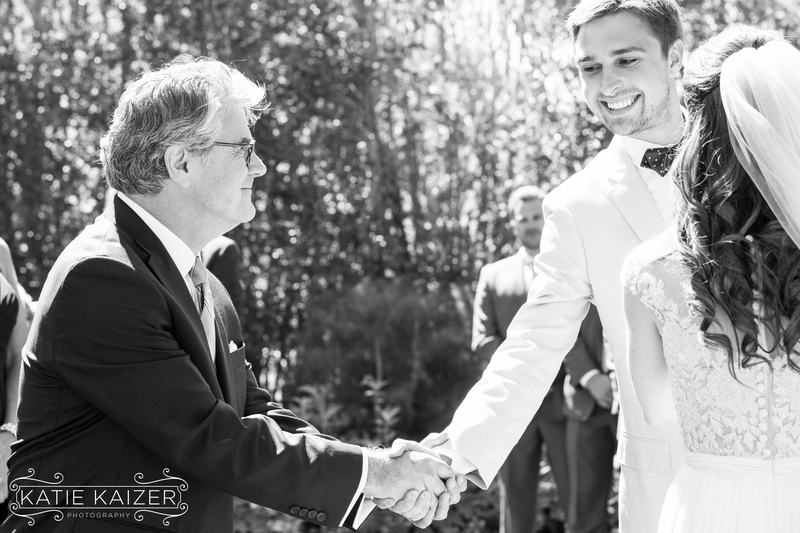 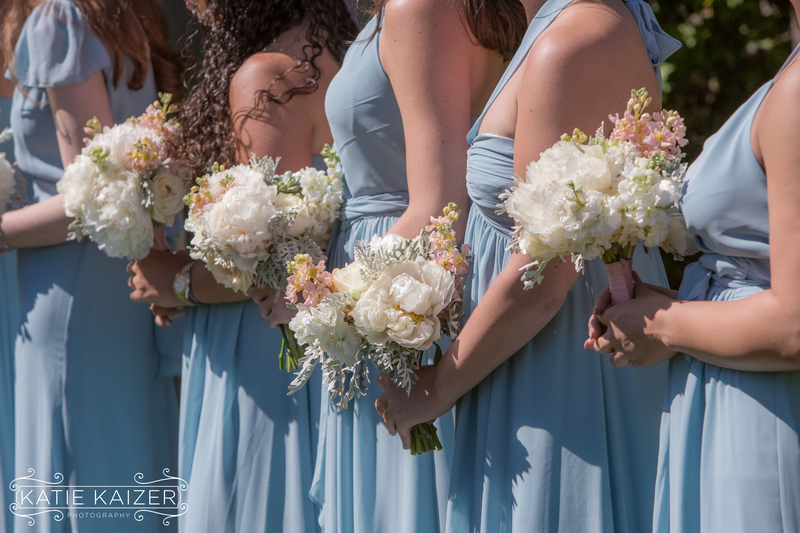 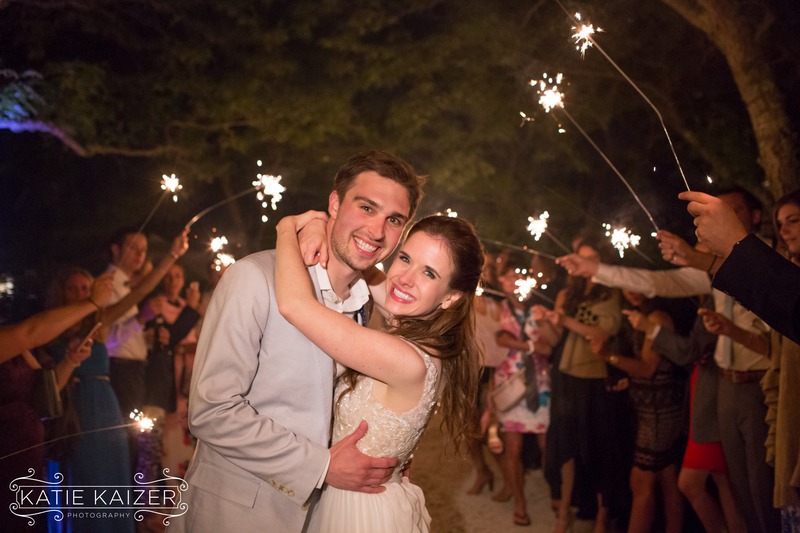 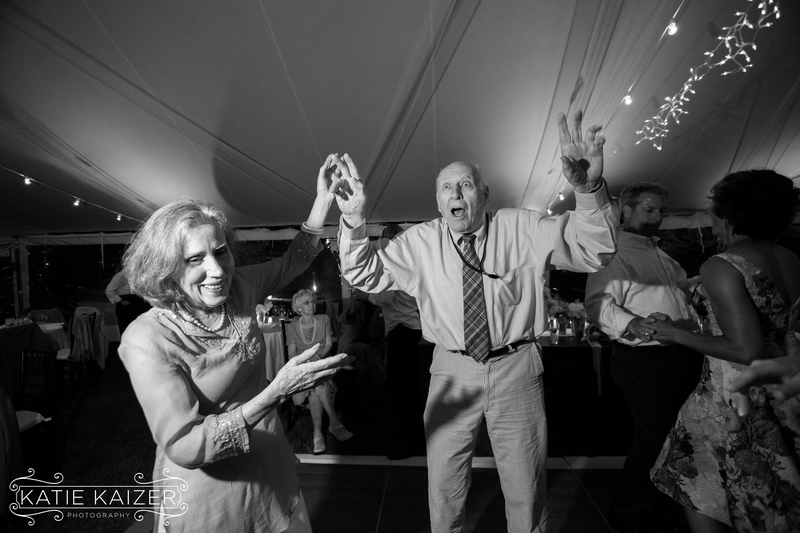 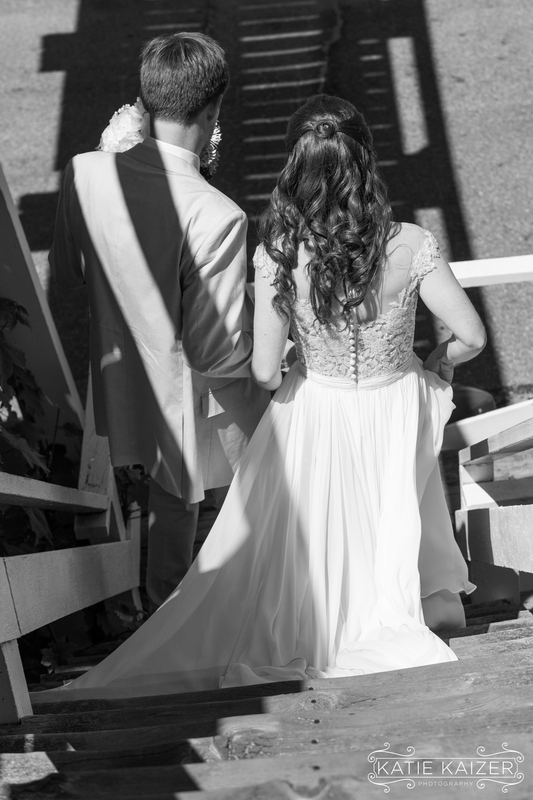 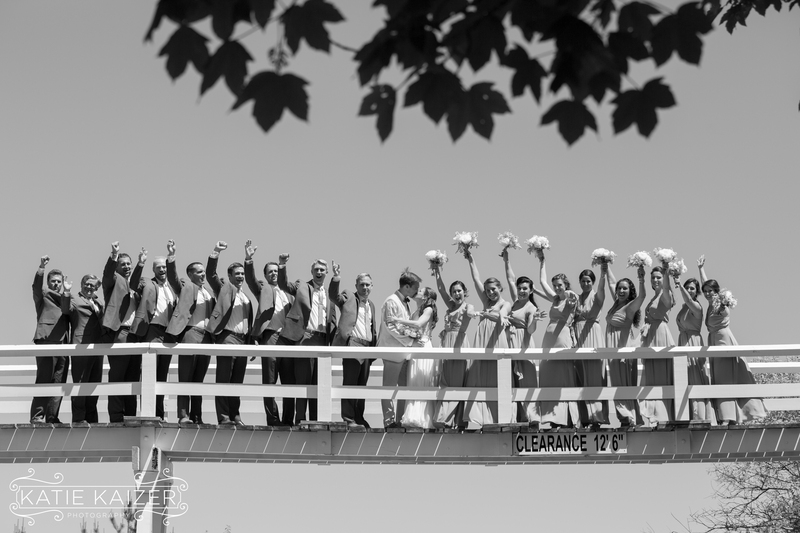 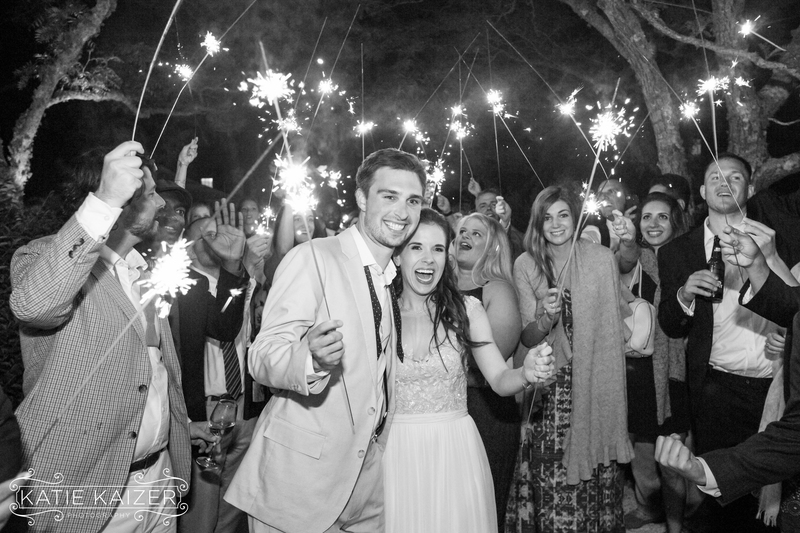 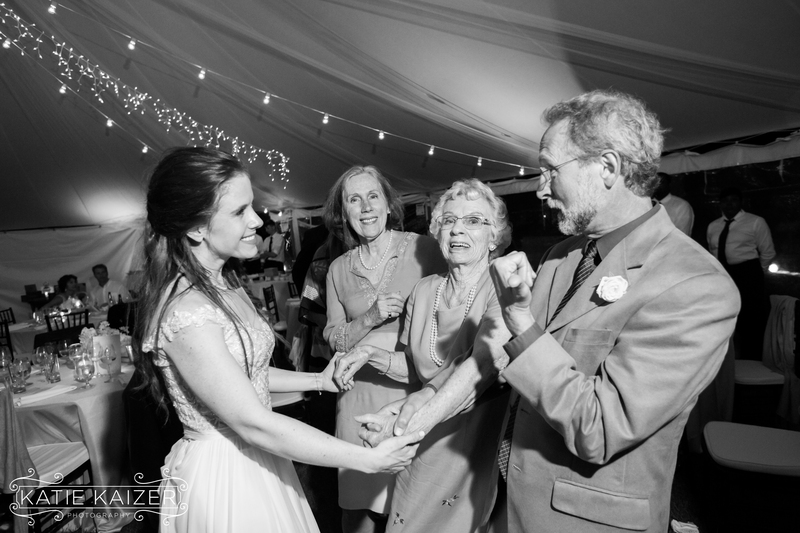 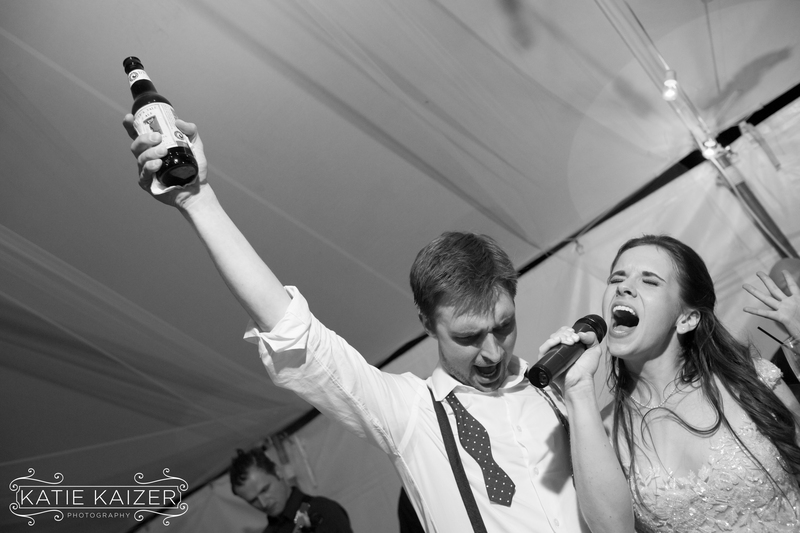 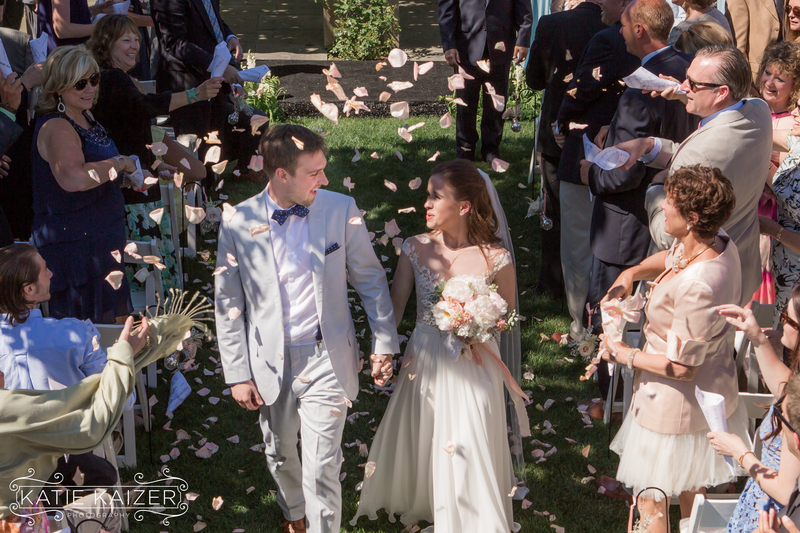 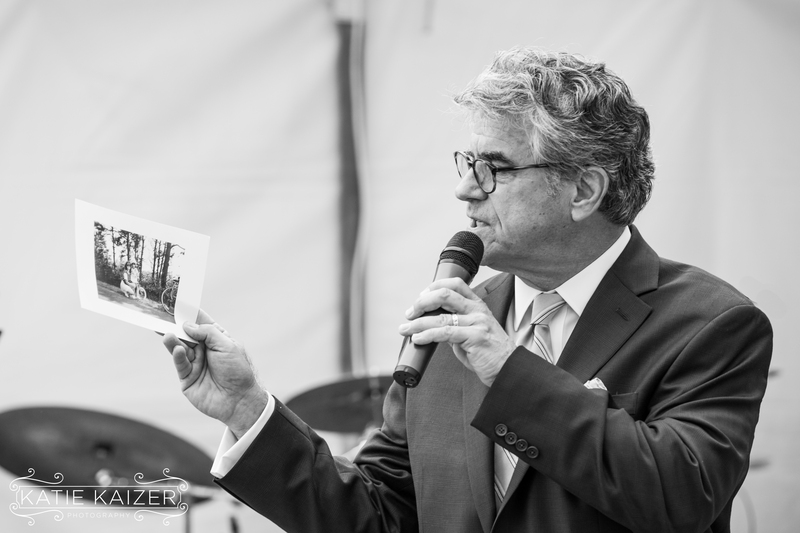 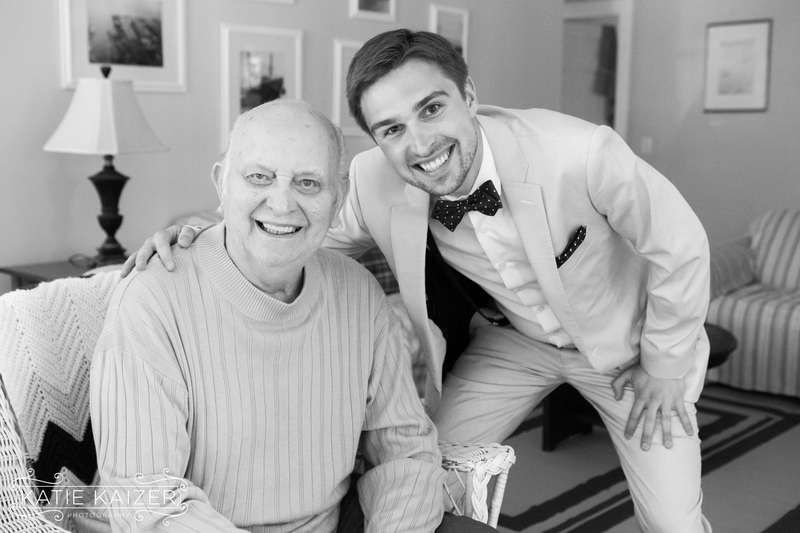 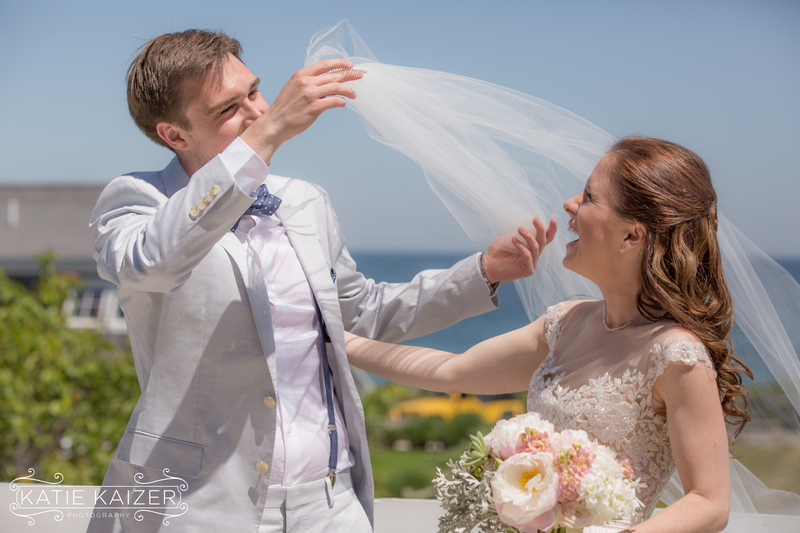 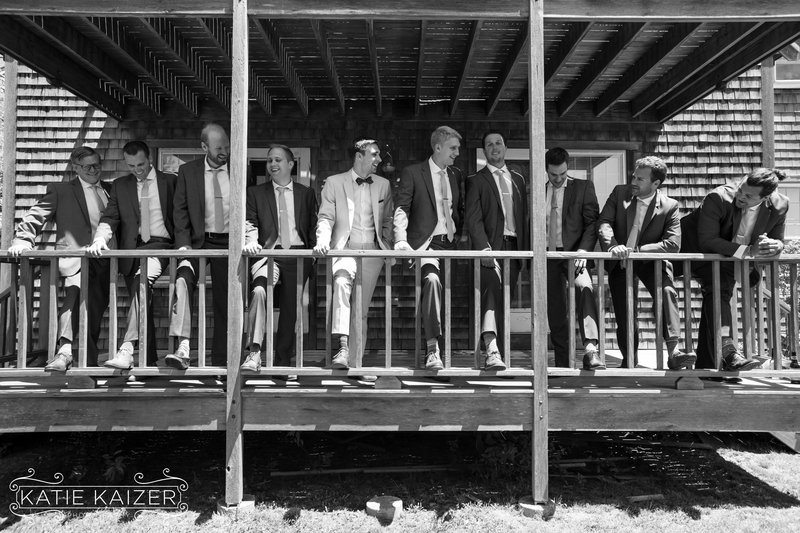 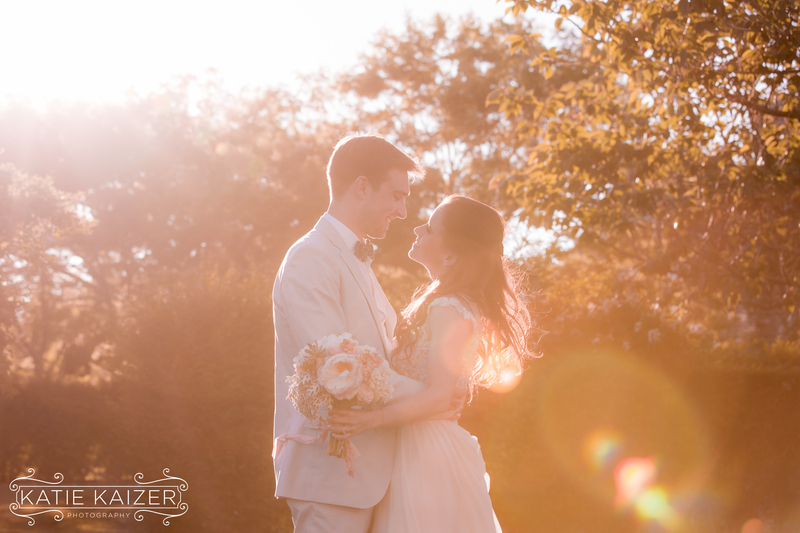 Special Thanks to Cary Tozer for joining me to photograph this wedding! 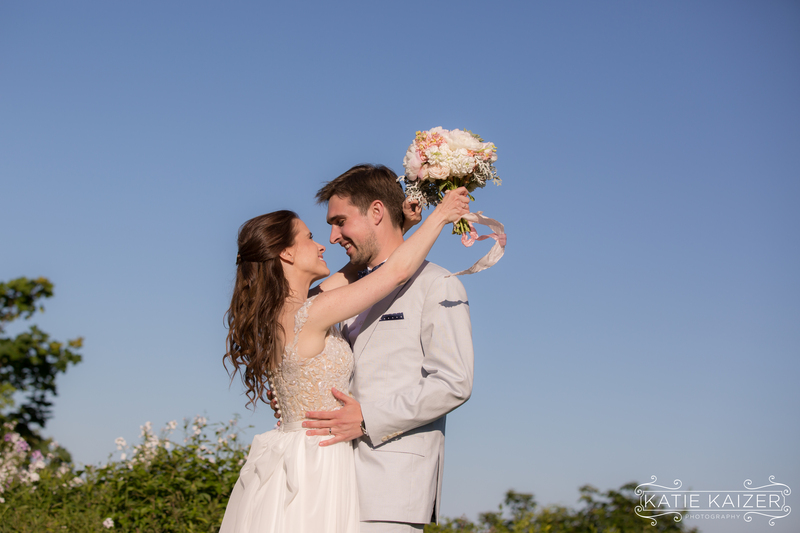 Great work as always!! 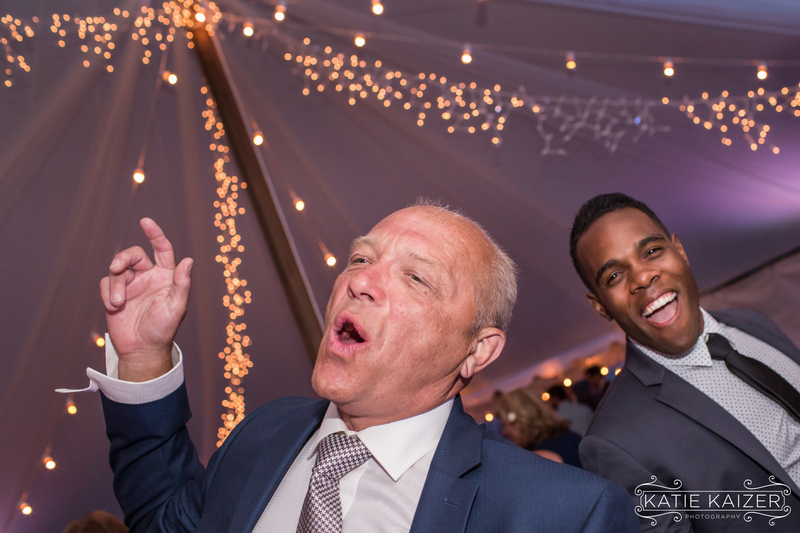 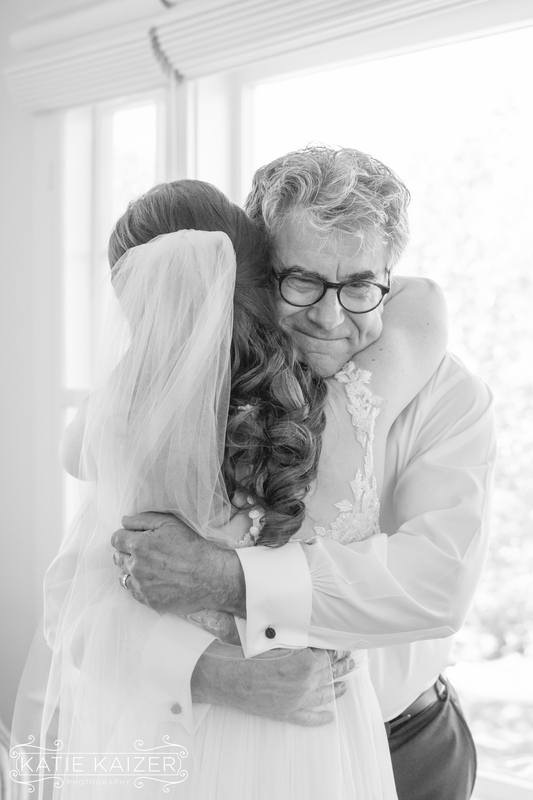 Speaking as the father of the bride, the pictures tell the story of this unforgettable day and night better than any words could. 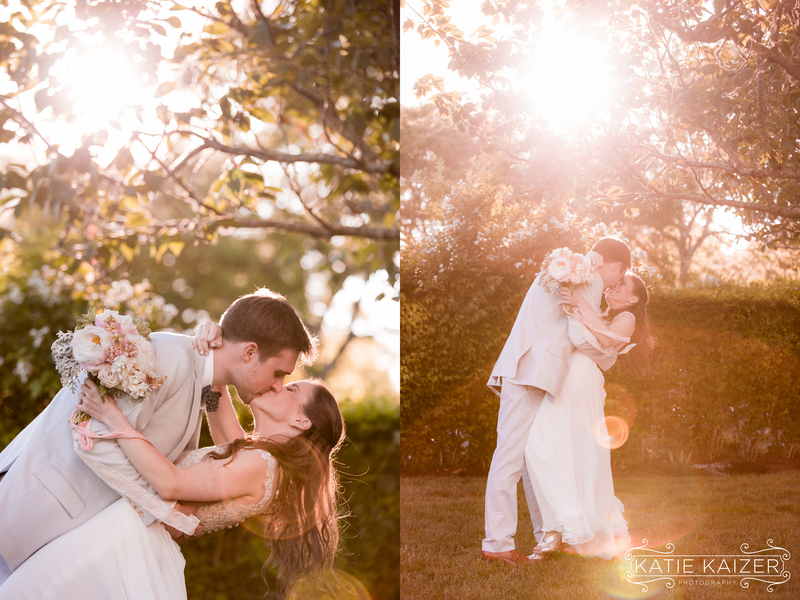 It was perfect, and Katie’s camera was everywhere! 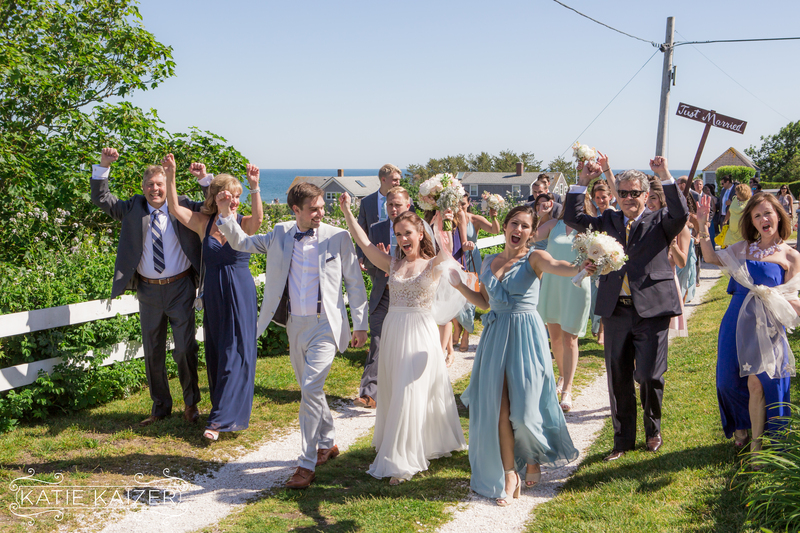 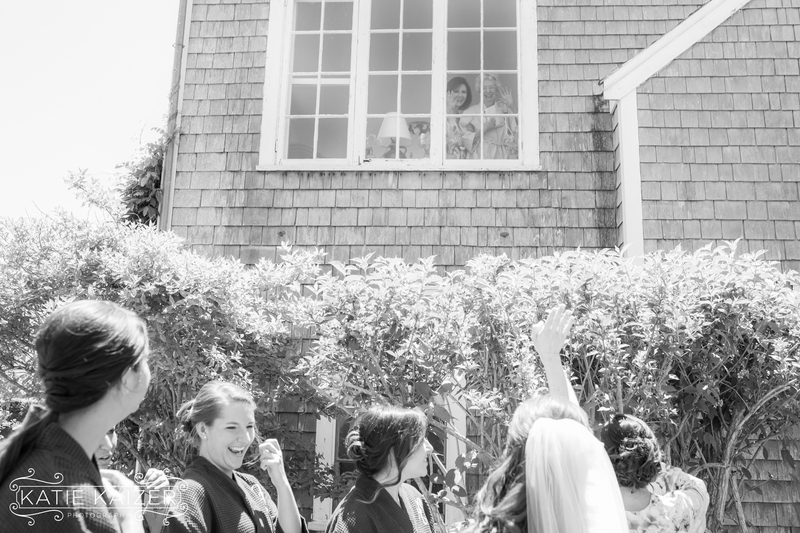 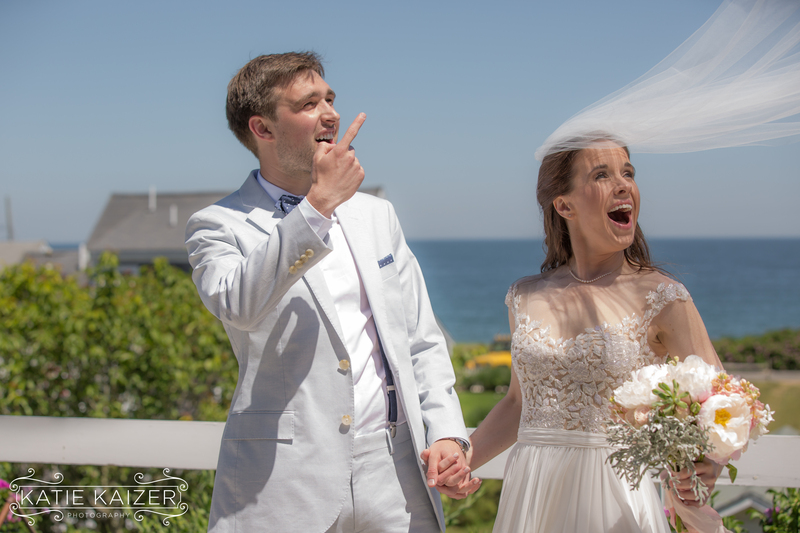 Well its confirmed, looks like a Nantucket wedding might just beat out a California beach wedding.. some of those pictures are amazing! 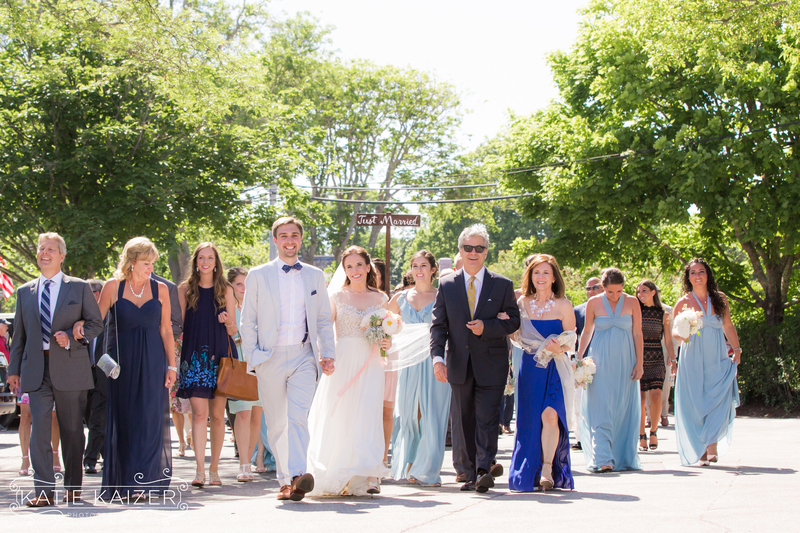 I love the one with the wedding party marching down the street, looks so casual 🙂 Great job Katie!